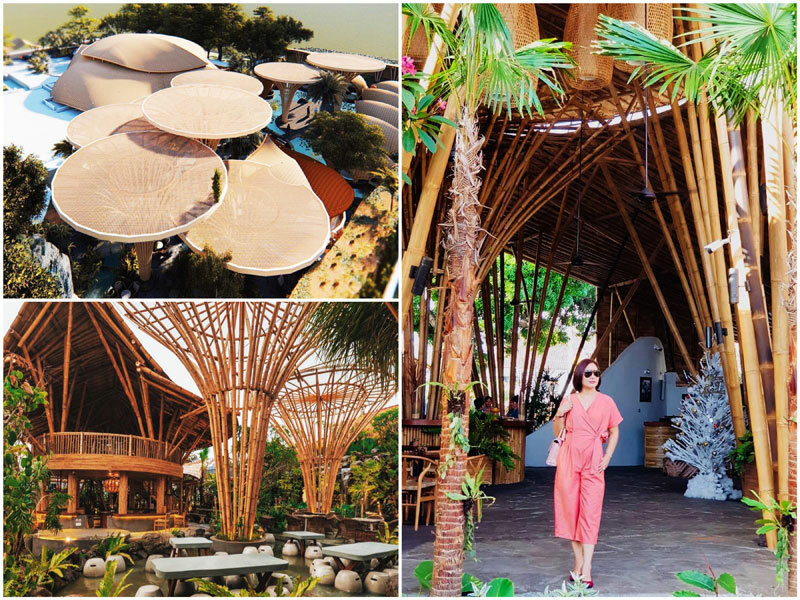 27 Out-of-the-ordinary things to do in Kuta: Where to eat and play in Bali’s best hotspot! 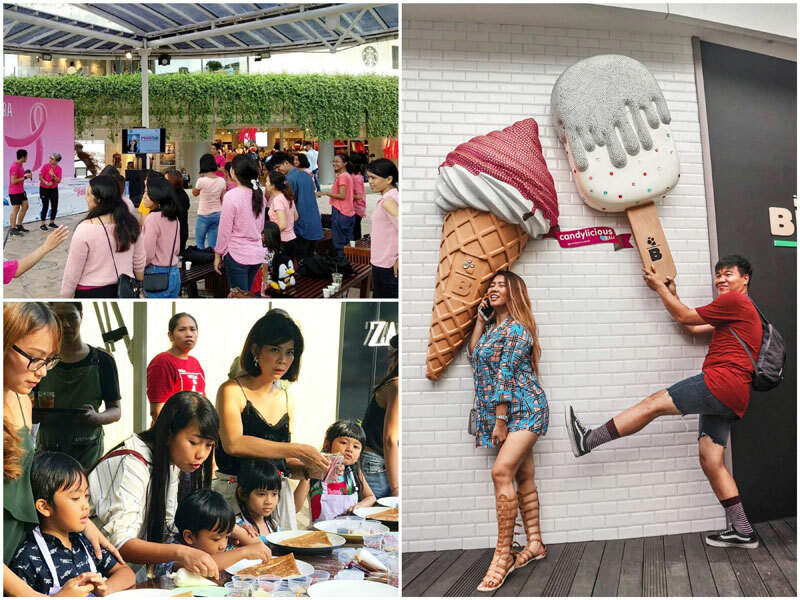 Indonesia > Bali > 27 Out-of-the-ordinary things to do in Kuta: Where to eat and play in Bali’s best hotspot! Think Kuta is just all about the parties? Think again. 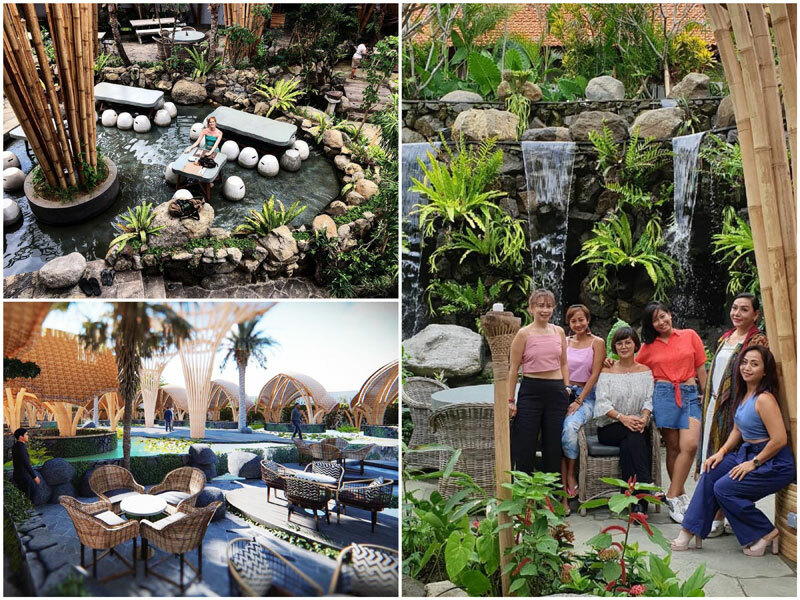 While you might think about chugging alcohol and the nightlife in Kuta, there are plenty of other ways to enjoy the area with your friends and family with its often-overlooked hidden gems! 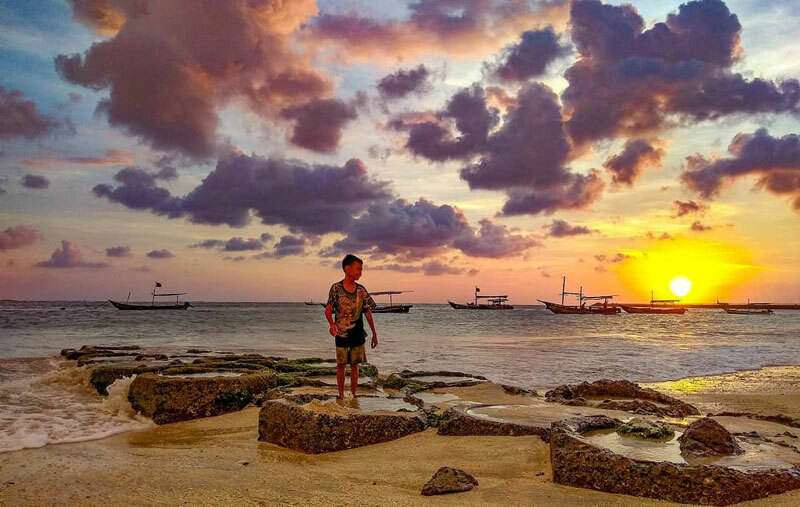 With scenic beach views, fabulous shopping spots, and exquisite local food, Kuta is not only a playground for active travellers looking for some fun, but also a charming, laid-back destination! Want to find out more? Read through our list of the top things to do here! 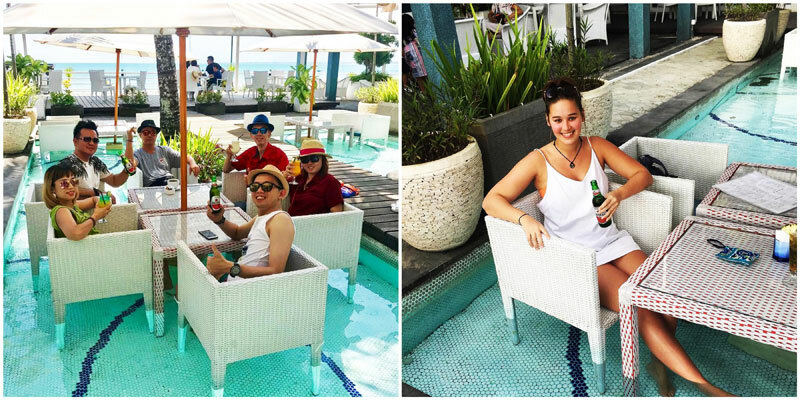 Nope, at Kuta, the parties don’t just stop at clubs and bars – they can happen on the go too! 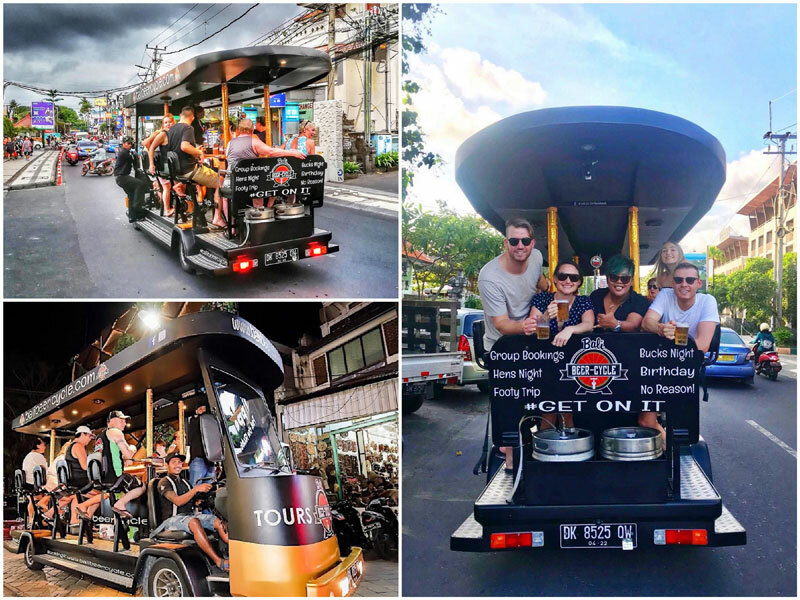 Originating from Amsterdam, beer bikes have found their place right here in Kuta! With Bali Beer Cycle, you can pedal around Kuta and Legian while sipping on ice cold beers, enjoying the best of times with your squad! 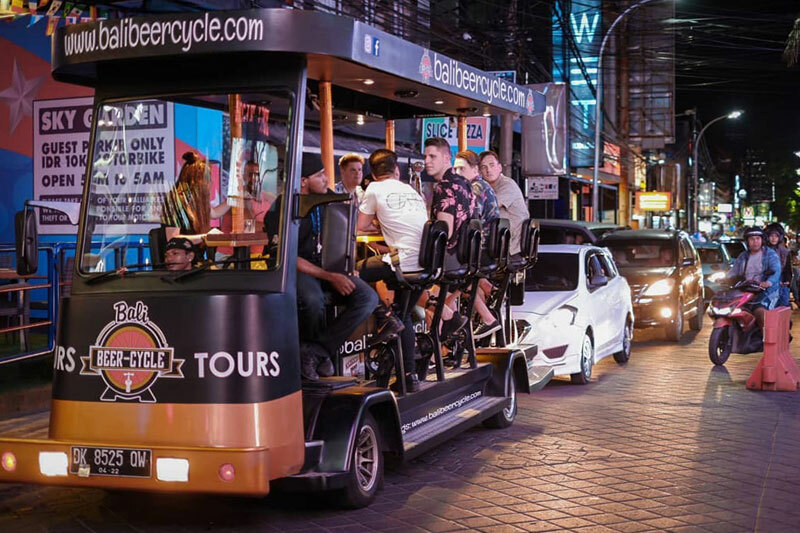 With the capacity to sit up to 10 pax, the Bali Beer Cycle package is fully equipped with free flow beer on tap, music, Wifi, a driver, and a host! All you need to do is gather your friends and get ready for some exciting adventures! Not ready to sweat through the ride? Don’t worry. The motor-assisted beer bike won’t require much effort to power through the roads so you have time to drink leisurely as well. You might even find the ride to be slightly stimulating, pumping up your party a little, as compared to the usual, stuffy, indoor bars. If you’re planning a special occasion for a friend, like bachelor’s night, this will be the perfect activity to add on to the itinerary! 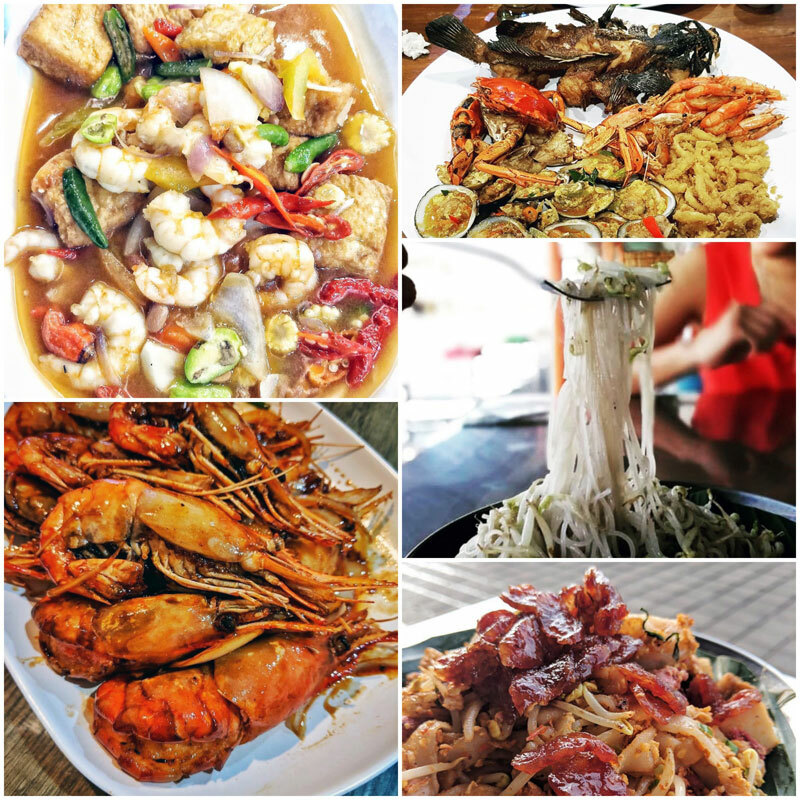 Indulge in traditional authentic cuisine like a local! Settling down for a meal at Wanaku Bali may be just the perfect city escape for those who want to enjoy their meal quietly while admiring the scenery! 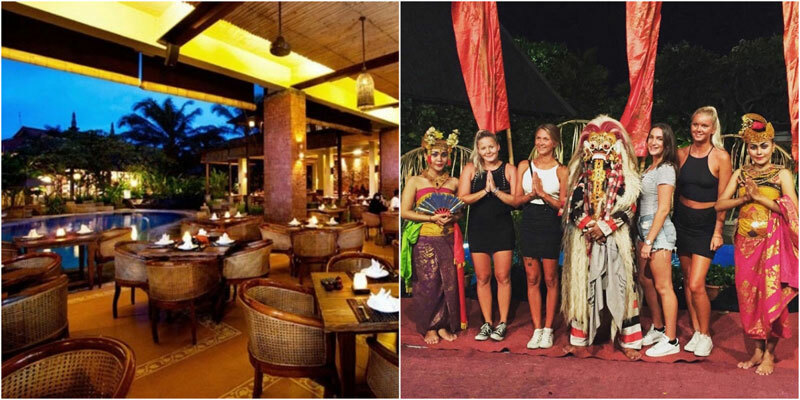 Newly opened in November, Wanaku Bali is unlike other local restaurants. Here, you will be surrounded by ponds, waterfalls, and lush gardens that can make you feel peaceful and calm throughout your meal! 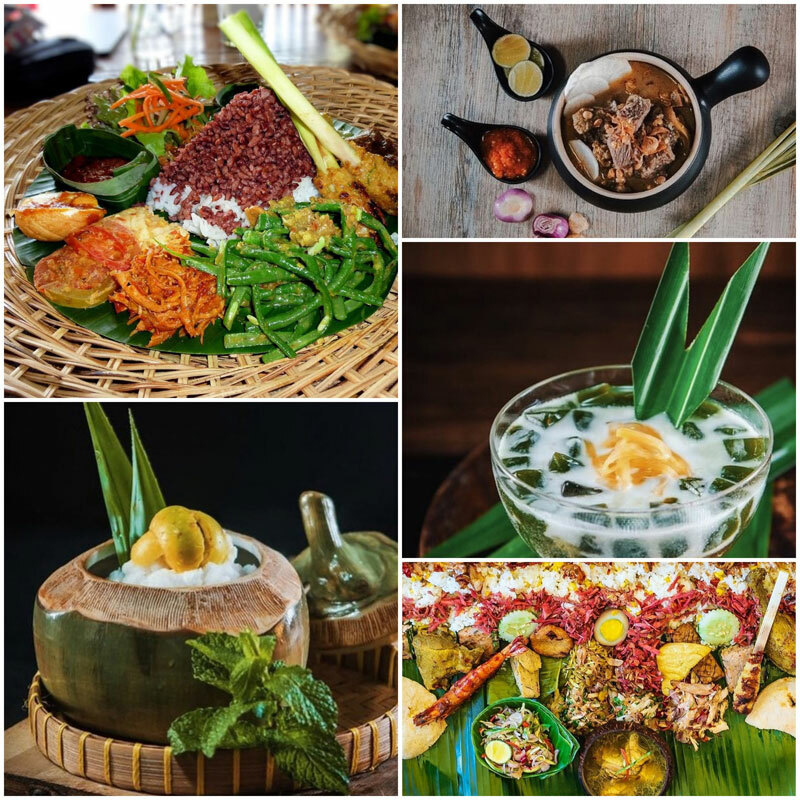 As you indulge in authentic Indonesian delicacies, your dining experience can get even better with contemporary performances and traditional activities to accompany your food! For the short period of time they have been open, their Es Pisang Ijo has already made quite a name for itself, so don’t miss this exquisite sweet treat from Makassar South Sulawesi! 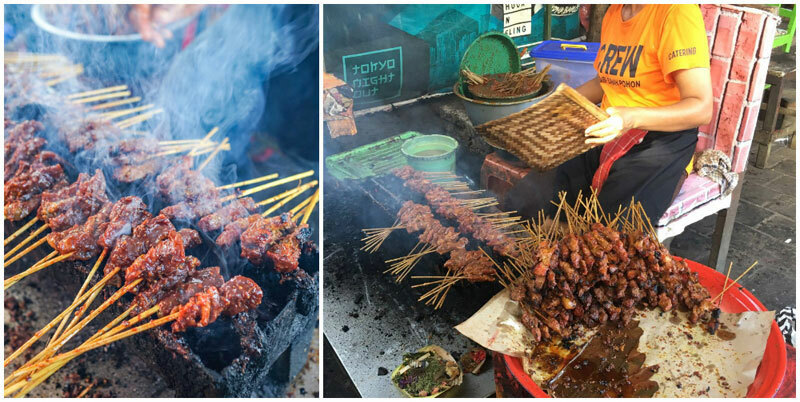 What’s Indonesia without some legendary ‘sate’ (grilled skewered meat)? At Sate Babi Bawah Pohon, their sate is so good that it usually attracts crowds of locals and foodies! The once-small stall has since expanded and grew from its early days, with an increasingly good reputation amongst locals for its great food! 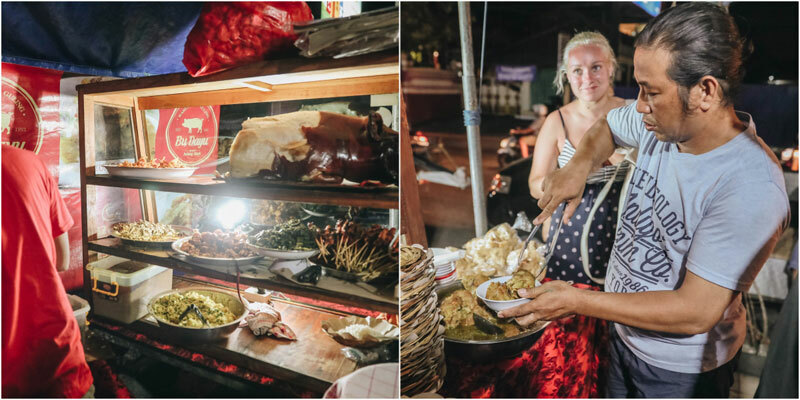 Tender and juicy pork marinated with flavourful spices, expertly grilled to perfection, and finally dipped in a sweet and savoury sauce with a tinge of spiciness…This is definitely a one-of-a-kind street food experience you wouldn’t want to miss in Bali! 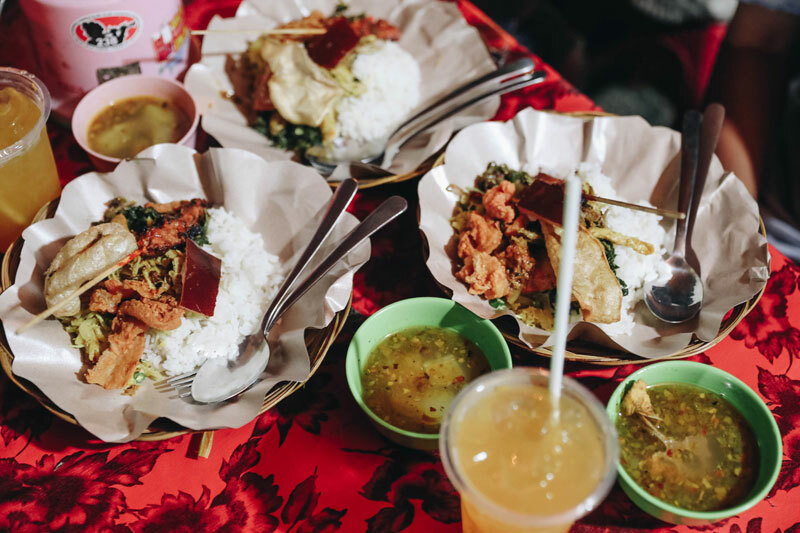 Don’t expect the sate to be tweaked to foreigners’ tastes – it’s seasoned to the usual level of spiciness that most locals relish (and that’s really spicy)! However, it was just right for us when we had it, so do give it a try! You might even end up taking on a few extra chillies on the side to up the spicy kick! You could always pair the sate with some rice or rice cakes for a more fulfilling meal! While every portion consists of 8 skewers, the skewers are so addictive that they might just end up piling up stick after stick! We mean it literally. We may not all be royals, but at Gabah’s, you can definitely feast like one. 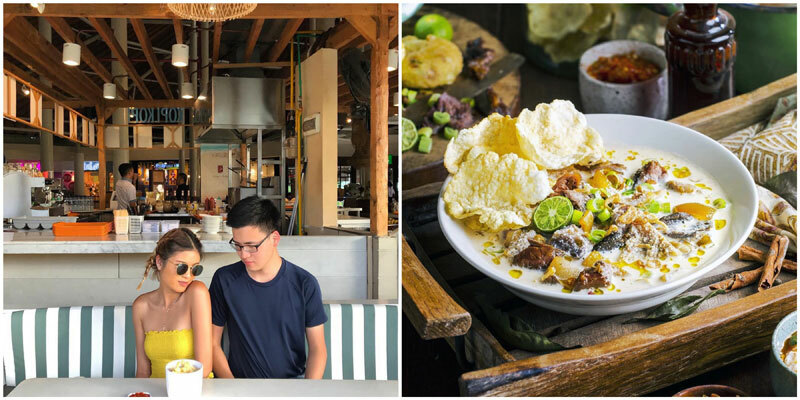 While Gabah also serves up other yummy Indonesian dishes in both modern and traditional styles, their Royal Kingdom menu is the real highlight of their offerings. 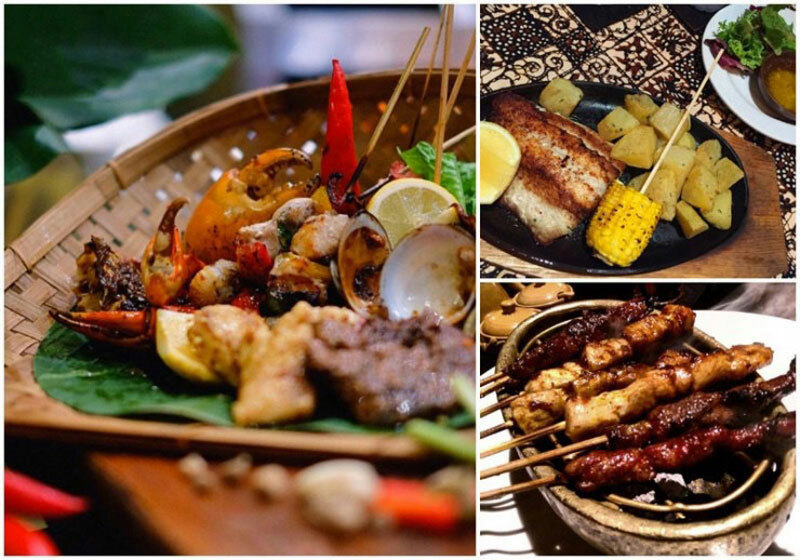 Featuring the best of traditional specialties around Bali, you’ll get to feast on 22 signature dishes that the royal family eats on the first day of harvest season, including traditional Balinese soup, grilled chicken, and fish satay! 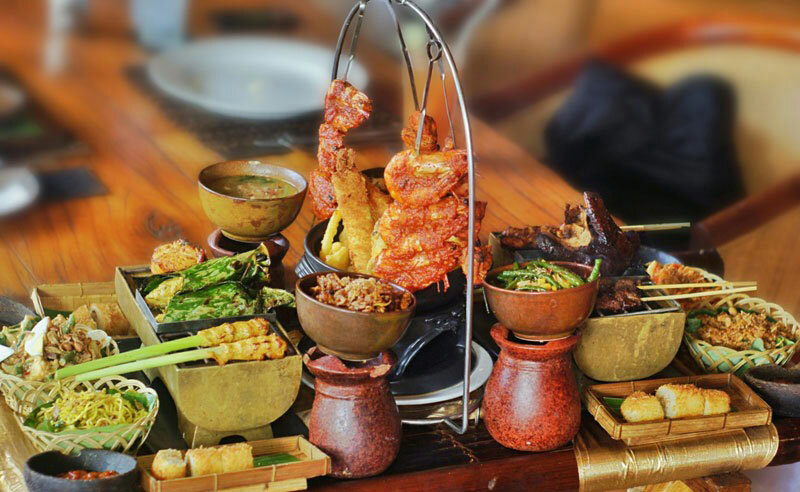 You may have tried almost all of Bali’s local fare, but we bet you haven’t had the Balinese royal feast. Head on over for the signature Babi Guling (suckling pig) here! You’ll be greeted with snaking queues upon arrival, an indicator of how good the food is! 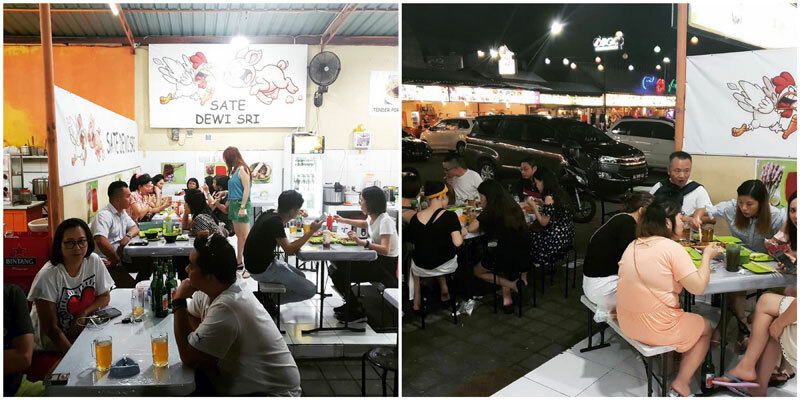 This local eatery is really popular but totally worth the wait! Things to bring: water bottles and cartons of milk! This is where you can test your spice tolerance, dear friends! The pork is roasted to perfection over the fire and served to you on a plate, all tender, juicy, and imbued with spices. While the decor may look plain and simple, the food is definitely beyond what you would expect of a small eatery! 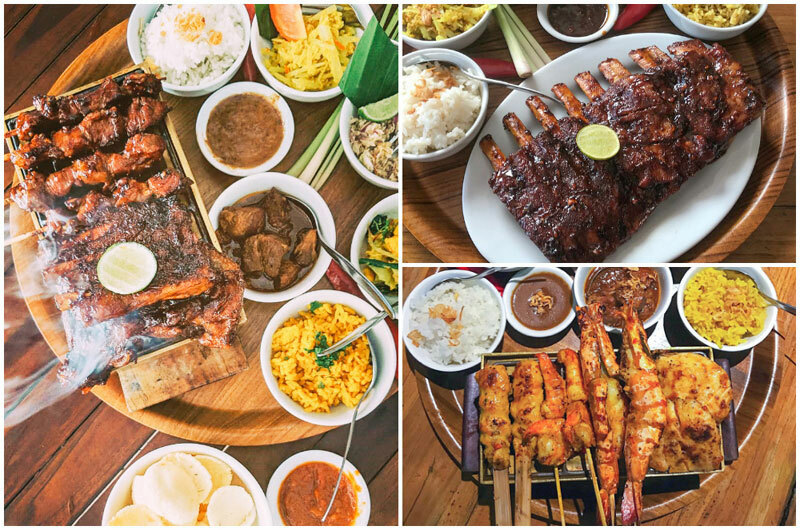 Feel free to stay for another round of Babi Guling (if your stomach can handle the generous portions…) or to simply bask in the lively atmosphere! 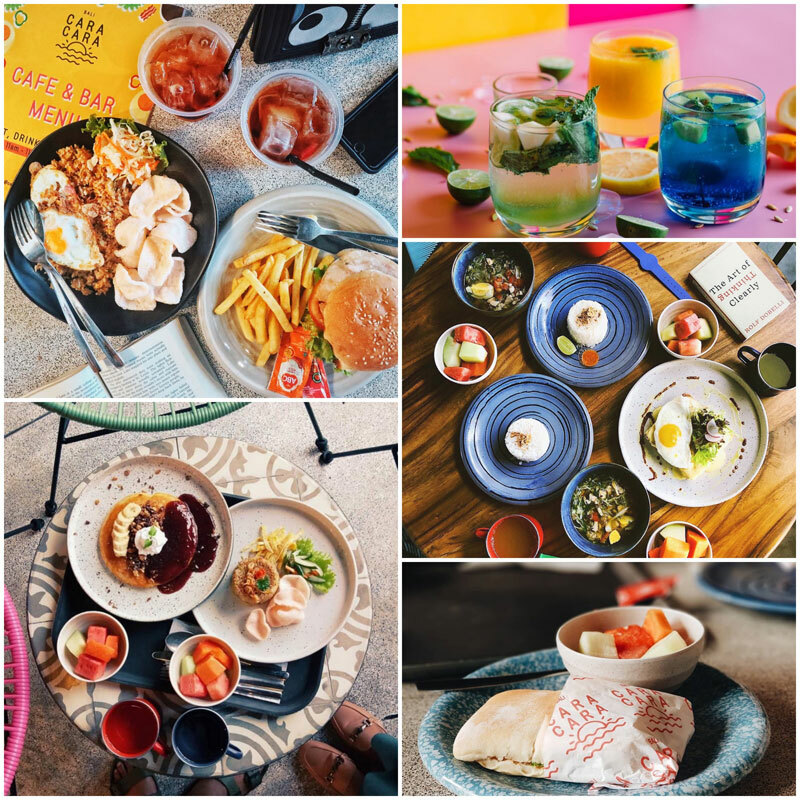 If you enjoy foodie adventures at food courts, you’ll love this lively eatery set right in Kuta! We really loved the menu variety and the immersive ambience here since it was a golden opportunity to get to know more locals while enjoying some good food! 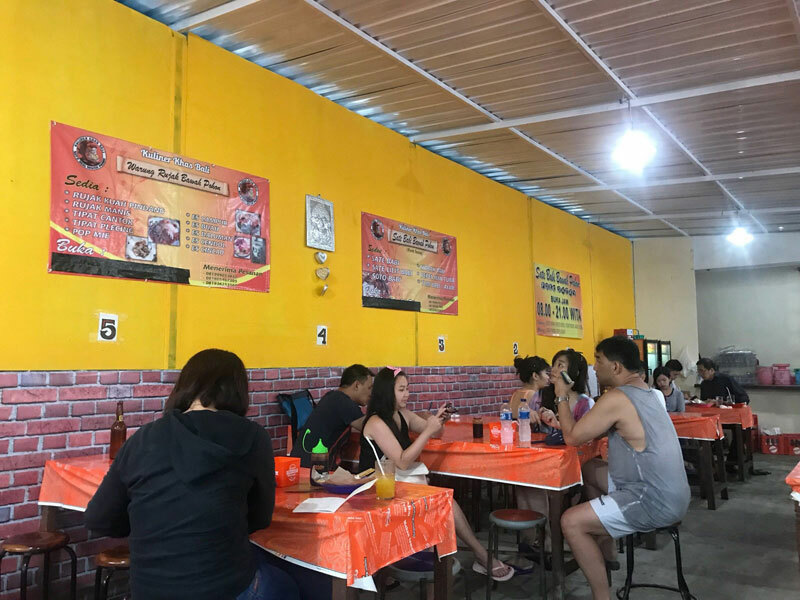 At Dewi Sri Food Centre, you will find loads of multicultural dishes on it’s menu, be it Indonesian, Thai, or Western food! Psst, we strongly recommend their special pork noodle! On some days, the small restaurant may even provide live band music to hype up the atmosphere! The best part? Prices are super pocket-friendly so you can continue your gastronomic affairs even when you’re on a budget! If you’re craving for some snacks after your meal, you might also want to consider having some of that spicy grilled corn-on-the-cob from the seller at the entrance! Warung Chef Bagus makes the best ribs – glistening, smoky, slow-cooked – making it one of the most heavenly foods in existence, especially when paired with an icy cold beer! Can’t get enough of those ribs? The restaurant offers cooking classes so you can go back home and make more for yourself! It’s a fun way to make some enjoyable memories, and who knows, with a bit of practice, you might even be able to reproduce their to-die-for ribs platter! 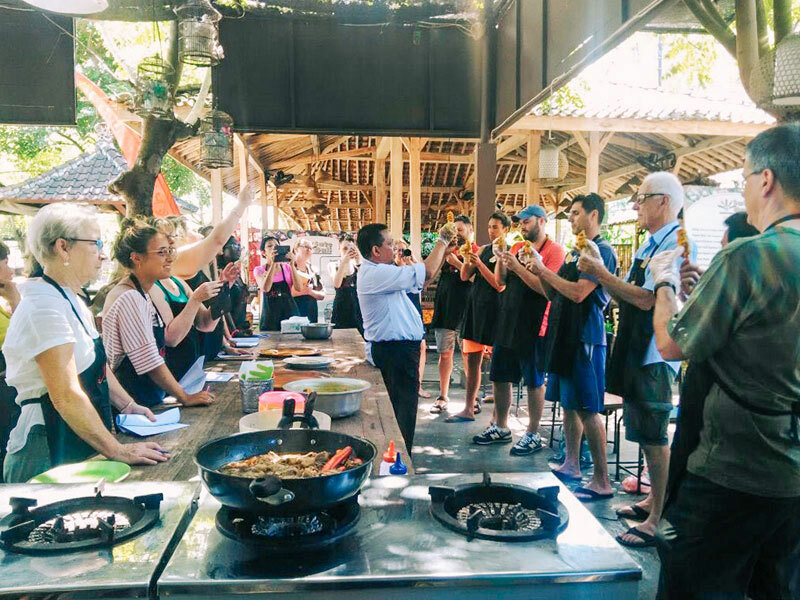 To give you an immersive local experience, the cooking class starts off with a local market tour to prepare the ingredients while giving you a glimpse of the locals’ daily lives. Of course, at the end of the day, you’ll get to savour all the dishes you have made to mark the end of the fun and unique experience! Note: Cooking classes are only available on every Monday, Wednesday and Friday. 8. 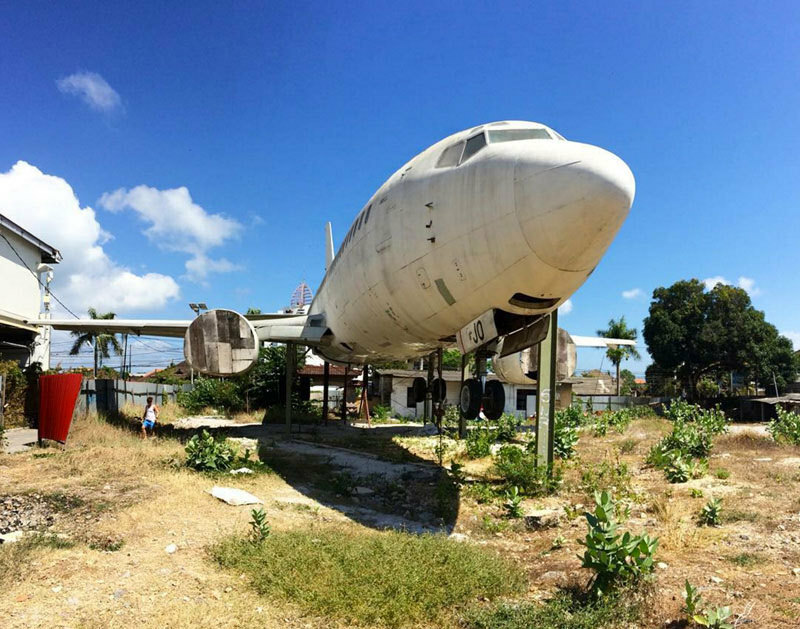 Go on a hunt to find this abandoned plane! You can find the most random things in Bali, and yes, that can mean stumbling upon an abandoned plane in the middle of Kuta, just like that. 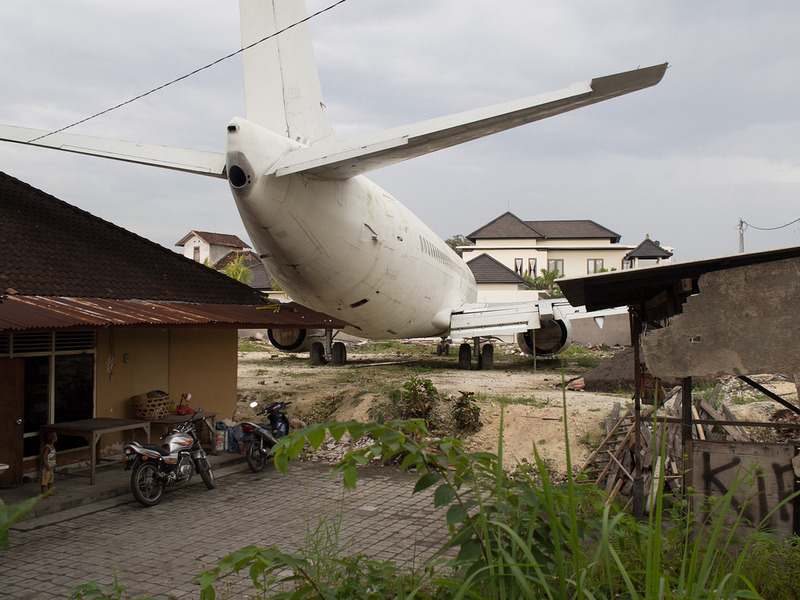 One of the most queer attractions of Kuta (and there’s always more to be discovered), is this Boeing 737 that used to fly across the horizons, now laid to rest at this spot near Dunkin Donuts. Check it out on Google Maps! No one knows for sure why it’s here. Some say the owner originally wanted to turn it into a home, while others say that it was supposedly a tourist attraction project that got abandoned halfway from a lack of funding. Well…regardless of its past, don’t forget to head on over if you’re in the area to explore and take a few pictures! Who knows, you might even uncover a few more clues behind it’s mysterious existence! 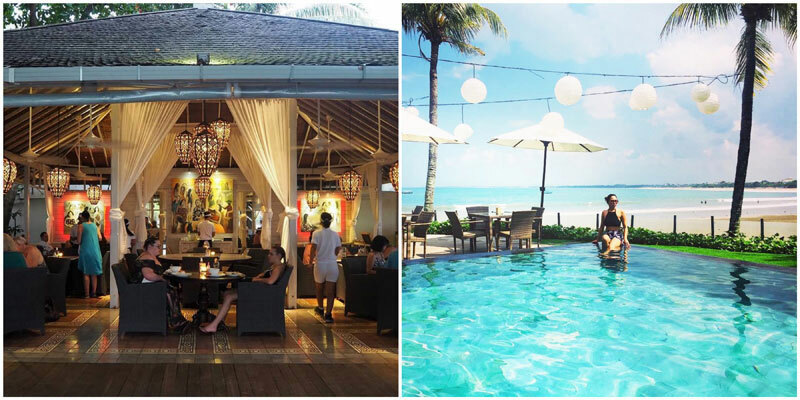 Best beach clubs to sip cocktails by the sea! 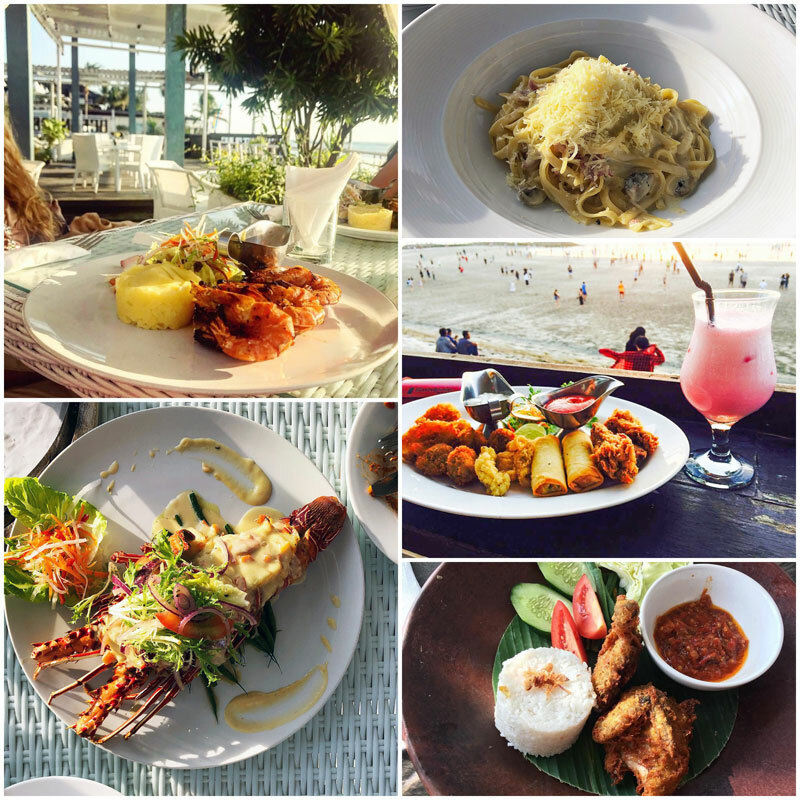 Located right beside the sea, you can lounge by the pool and gaze at the endless sea view while enjoying sensational seafood dishes at Ocean 360. With a laid-back vibe and wicker furniture, the entire place looks like a mini Santorini. 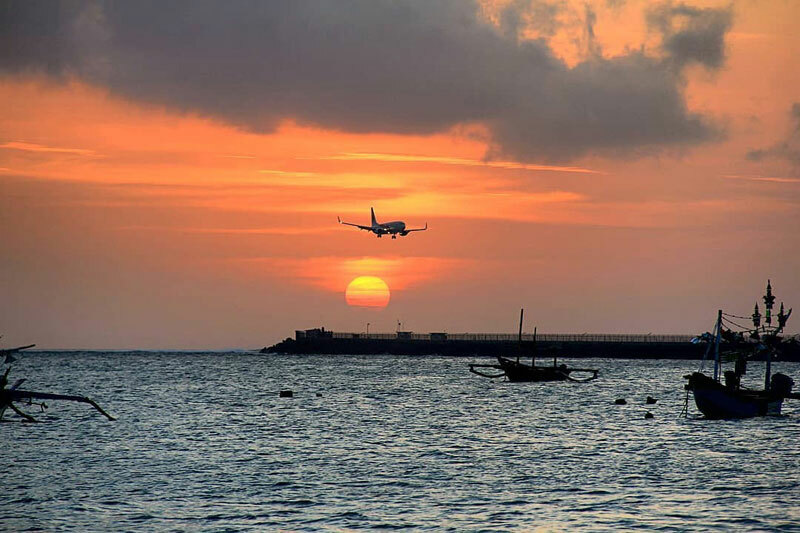 If you drop by at sunset, be prepared to be wowed by the beautiful view and atmosphere! While service may be a little slow around here, the unique dining experience has garnered many good reviews. 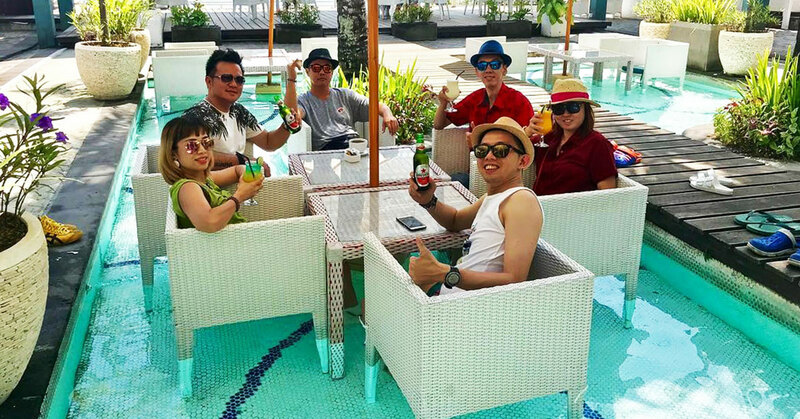 Come a little earlier to secure a table right in the pool and enjoy the view of Kuta’s famous shoreline with a refreshing cocktail! Bringing your kids along? You might also want to prep some floaties and swimwear for the little ones! 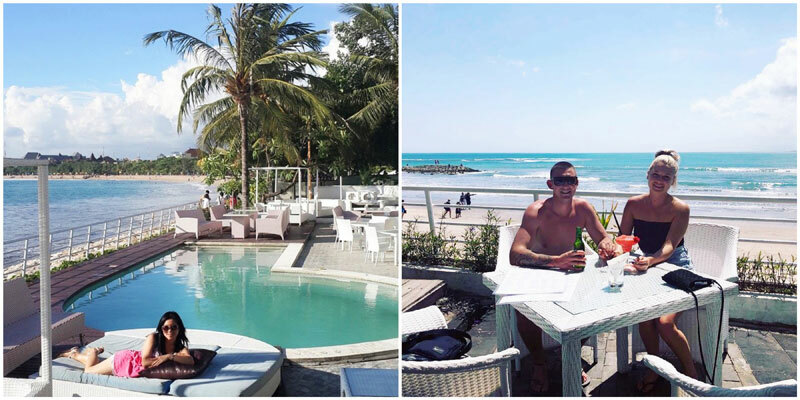 Attached to the Bali Garden Resort, the Boardwalk offers a slightly more luxurious choice for a tipple or two by the sea. The chic furnishings and gorgeous tropical beach pavilion makes the Boardwalk perfect for a relaxed, romantic rendezvous without burning a hole in your pocket. What’s a view without some great music? 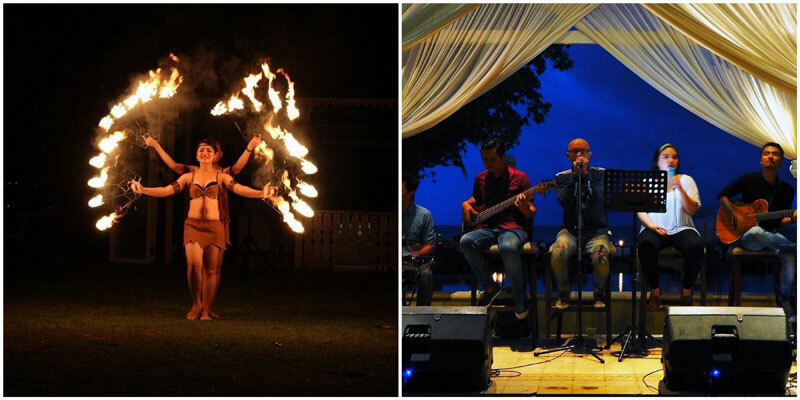 The Boardwalk also offers live acoustic music and fire dance performances to entertain their guests! For food choices, the Mediterranean-inspired menu offers great value – bar snacks, local beers, fresh juices and cocktails, all at an affordable price. Their Lamb Shank is also a hit for its yummy, tender meat! However, service tends to get a bit slow when the restaurant gets busy, so do be patient! Play it cool and chill at these hipster cafes! 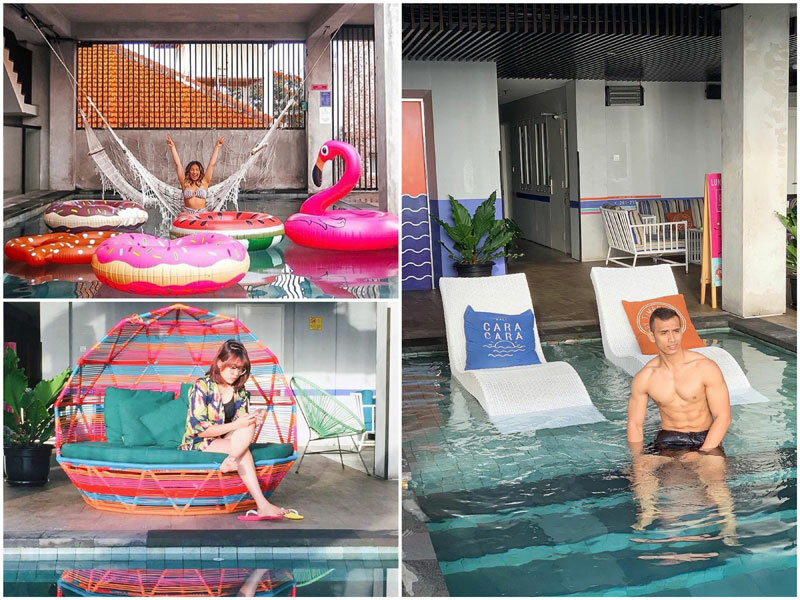 Cara Cara Inn is like a fun playground for adults with a pool, colourful furniture, and a sweet little cafe to fill your hungry stomach! The Cara Cara cafe here is part of the Cara Cara hostel facilities, where you can get simple and delicious meals such as Nasi Goreng Kampung, Chicken Quesadillas, and Lasagna! For those staying at Cara Cara Inn, you will be entitled to a daily complimentary breakfast from the cafe (available from 6-11am). At night, you can even grab a few drinks from the bar, which is actually a Volkswagen Kombi! Regardless of whether you are staying at Cara Cara Inn, you can always drop by to try their cafe food, bar drinks, and explore the surroundings with all their quirky decorations! 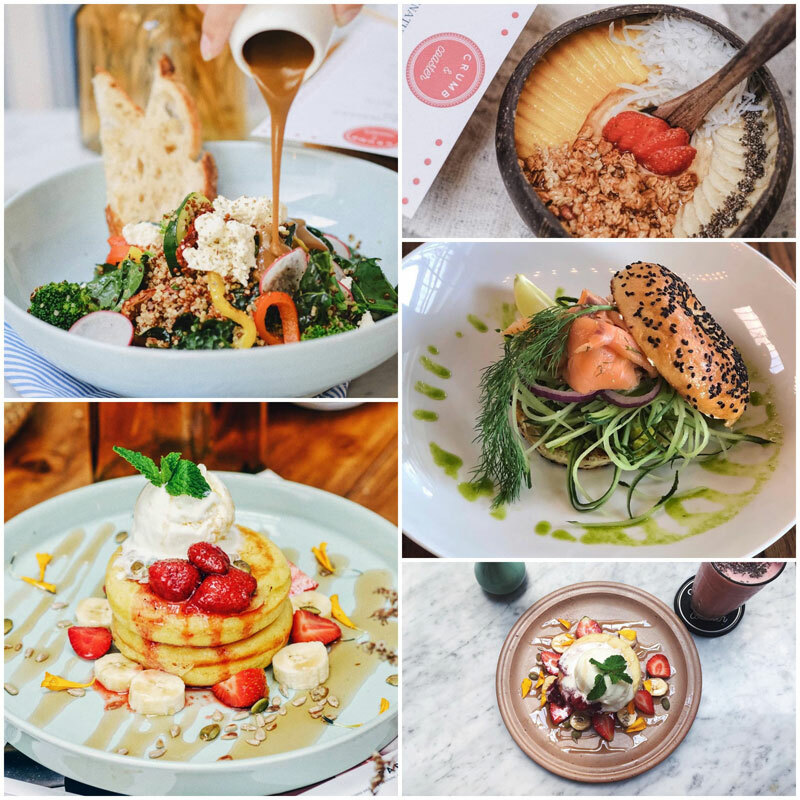 We bet your stomach and picture gallery will be bursting with all those tasty food and fun shots at Cara Cara’s cute Instagrammable spots! 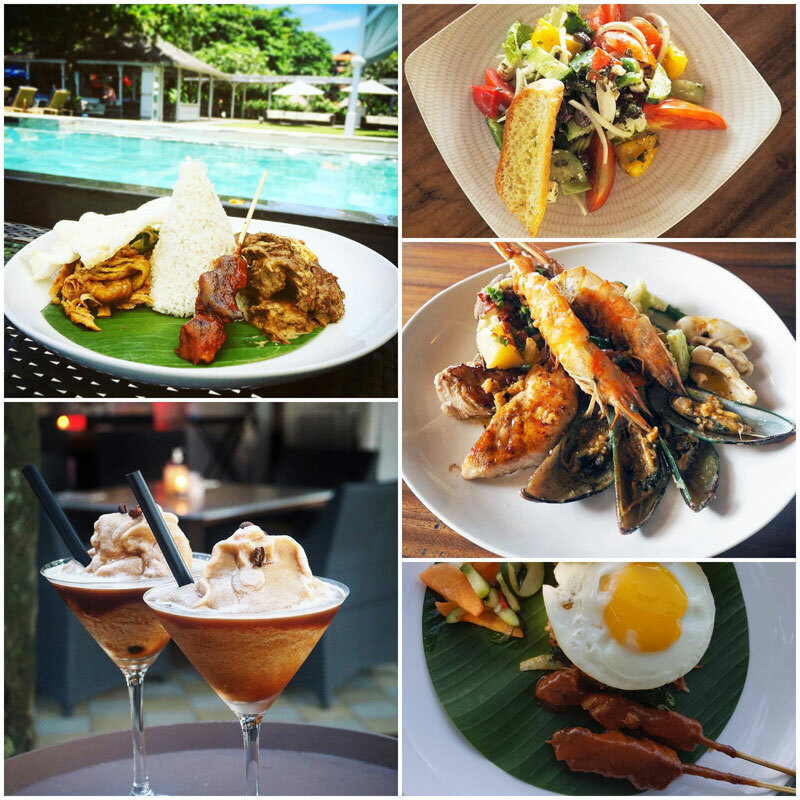 Note: Non-hotel guests are welcome to dine at the cafe and bar with a minimum charge of Rp. 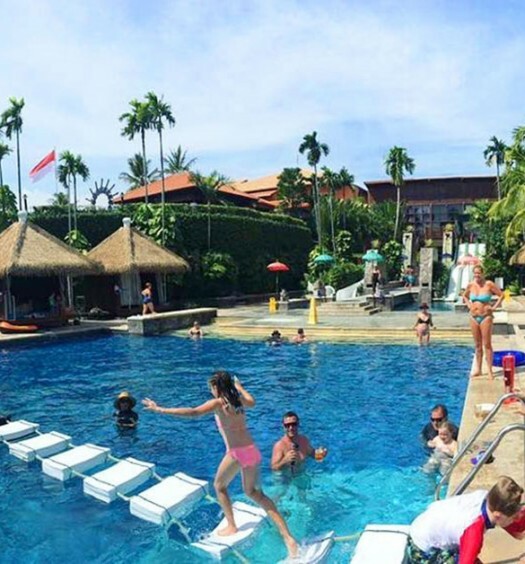 200,000 per person (Approximately USD $13.80) and free pool usage. 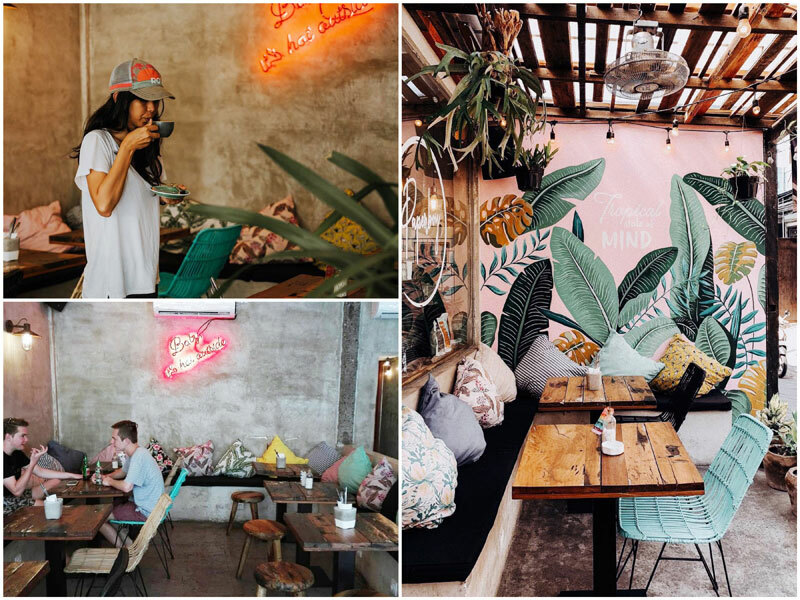 Hipster cafes has definitely been on the rise in Kuta, be it the cool decorations, food menu, or their coffee quality! 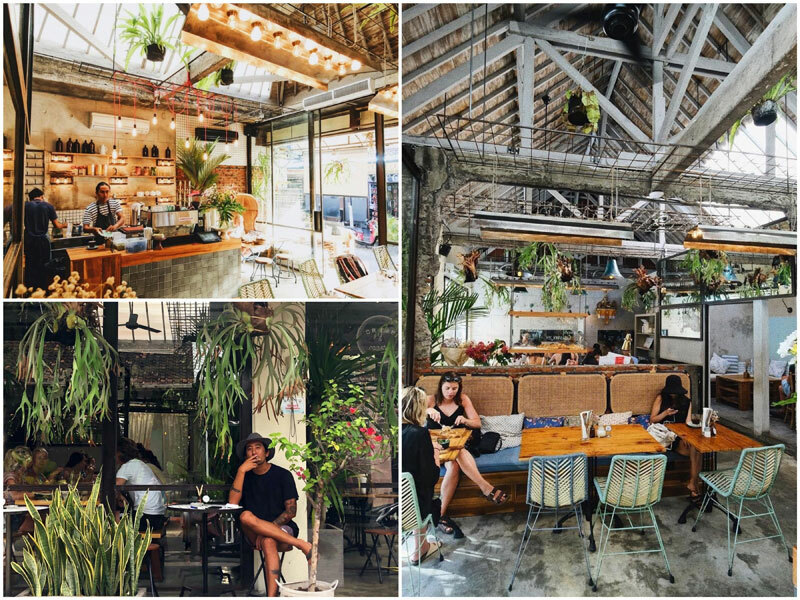 Here, you don’t just get to enjoy incredible food and remarkable service, but also an exceptional dining experience with little potted plants, clean metallic frames, and rustic wood furnitures that creates a chill vibe around the entire cafe! The unique interior blends contemporary flavours with natural tones to create great visual contrast and harmony that could make your photos stand out from your other cafe shots! 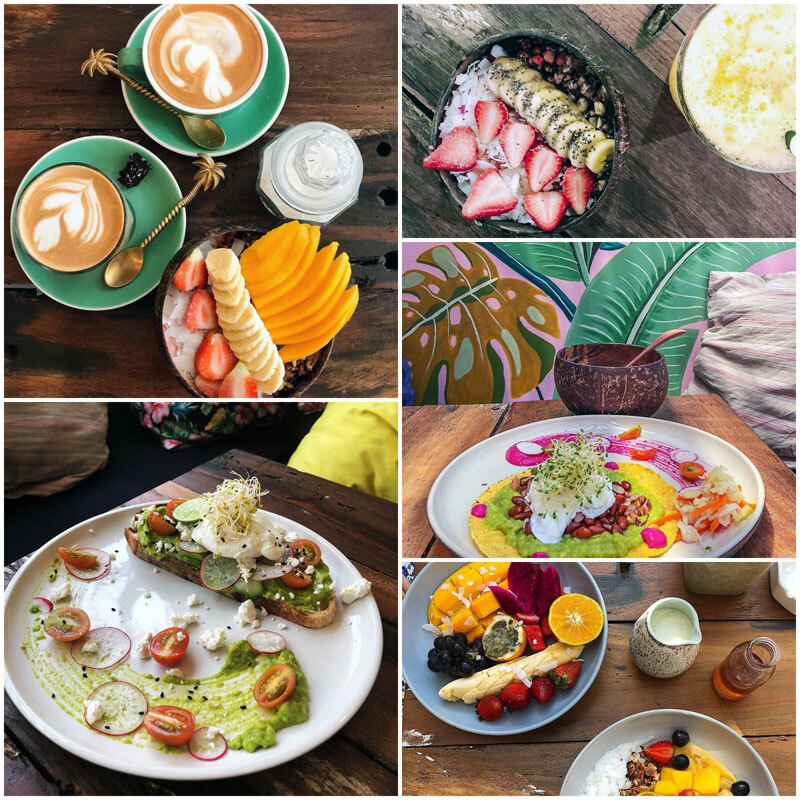 There are dozens of cafes all over Kuta, but Paperboy Bali is probably one of the few cafes that can satisfy and live up to all your breakfast cravings! 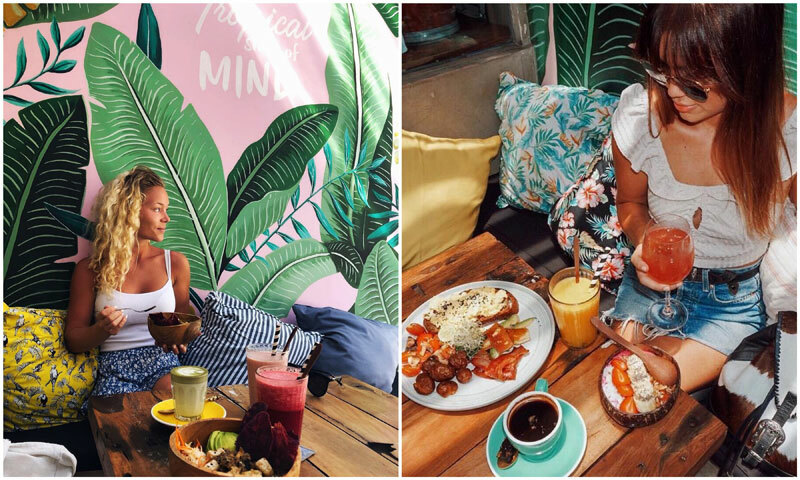 You can be assured that over here, you can always have your fill of smashed avocados and crispy bacon! Worry about those calories tomorrow! When it comes to clean eating, nothing beats their famous smoothie bowl topped with fresh fruits! 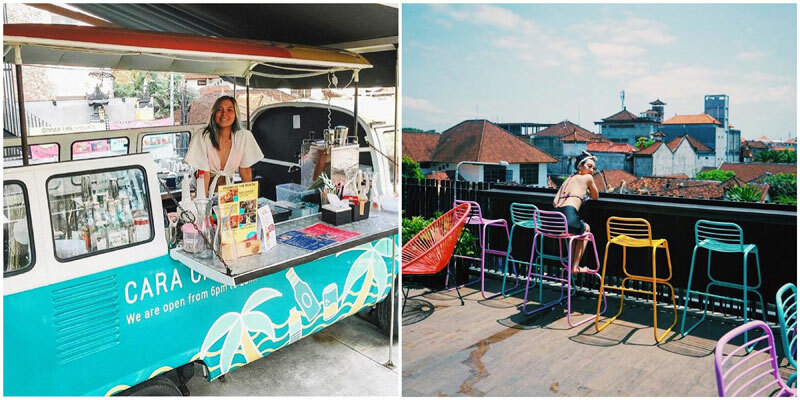 If you think that only Canggu has hipster cafes that can fulfil all your Instagram fantasies, Paperboy will prove you wrong. Have you ever imagined yourself travelling back to the 60s, enjoying some retro beats with a few chocolate milkshakes and delightful cheeseburgers? Now you can do just that at Cosmic Diner. Step back in time the moment you enter. 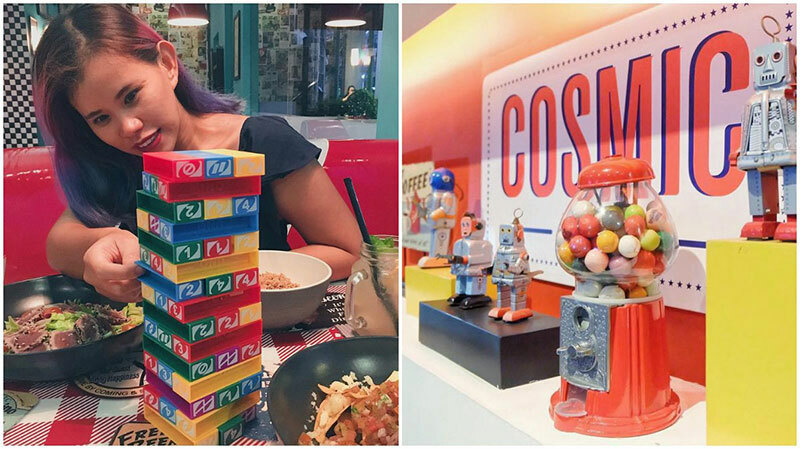 You will be greeted with retro decor like cool checkered floors, an iconic neon jukebox, and cute cherry-red bar stools – all of that to recreate that hip vibe! 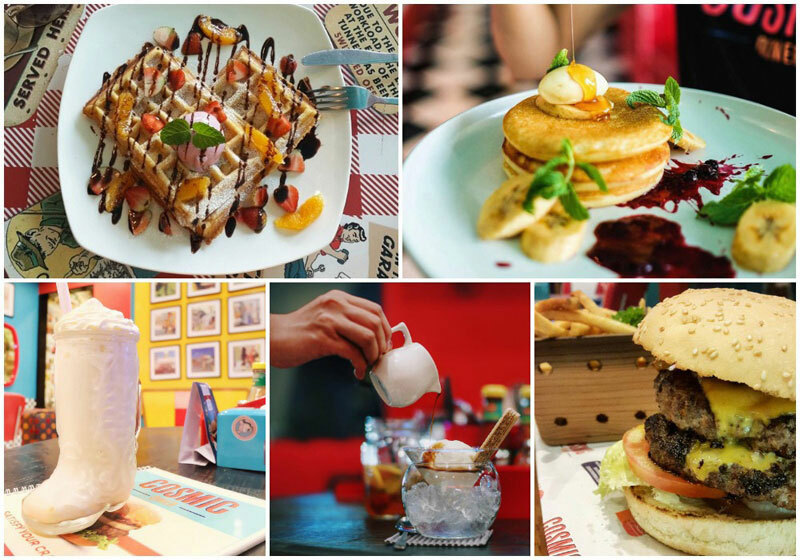 To satisfy your growling stomach, check out their classic American menu consisting of burgers, shakes, pancakes, waffles, sandwiches, fries, and coffee (all given the thumbs up by reviewers!). You might also want to try their Chocolate Trifecta Shake served in a unique cowboy boot glass! Looking for fun things to do with your friends and family? 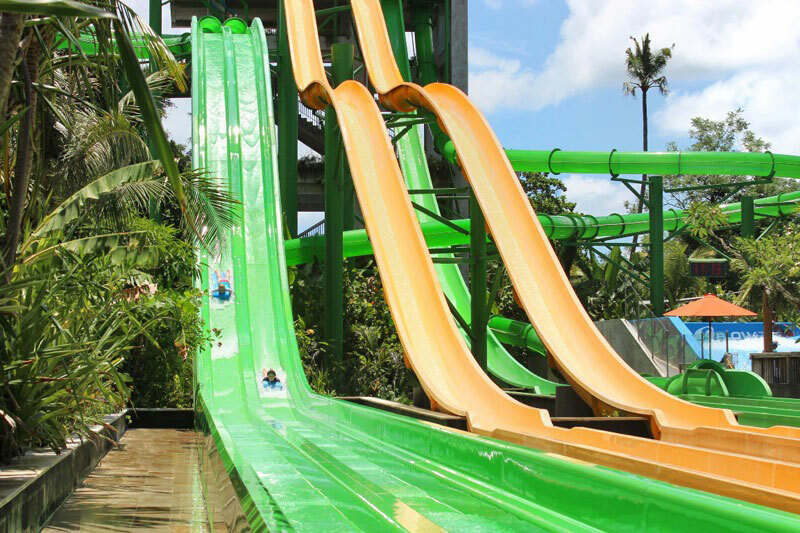 Head over to Waterbom for a day packed with thrilling rides! 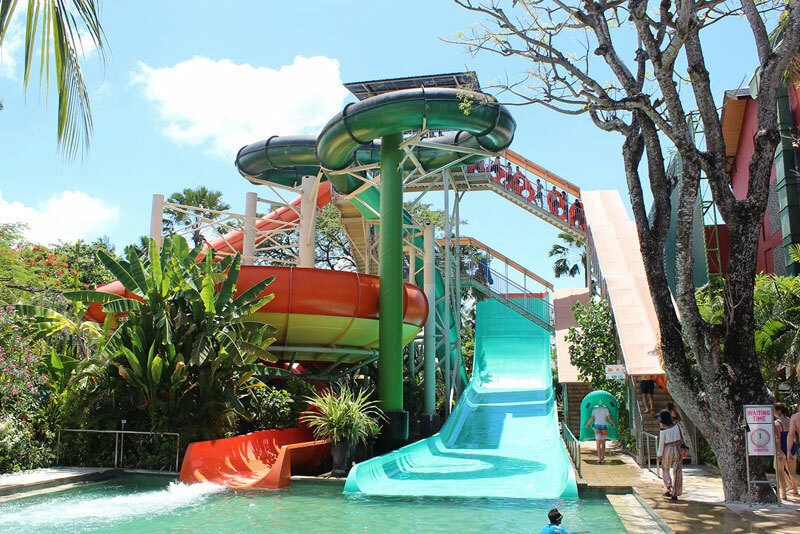 Adventure seekers would love the incredible attractions that has earned Waterbom its reputation of being Asia’s Number One waterpark! With an array of rides and attractions available (including a swimming pool with a bar within it!) there’s something for everyone, be it relaxing, eating, drinking, or going absolutely crazy on the fantastic rides. If you’re an adrenaline junkie, we dare you to try the Climax! Standing in a small chamber where the floors open up to a 16-metre near-vertical drop definitely isn’t for the weak hearted, so we salute all who dare to step up to the challenge! For those who are interested, you can also learn and practise surfing at the Flowrider at your own pace to prep for the actual beaches! Do note that there’s an extra charge of $9-14 for the lesson. Finally, make sure to check out the lazy river! 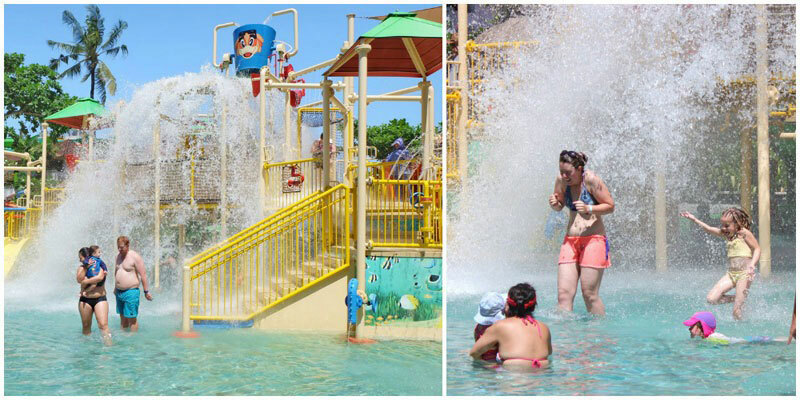 Under the intense summer heat, there is nothing more refreshing than floating around and enjoying the cooling waters – the perfect opportunity to relax after all those heart-stopping rides! 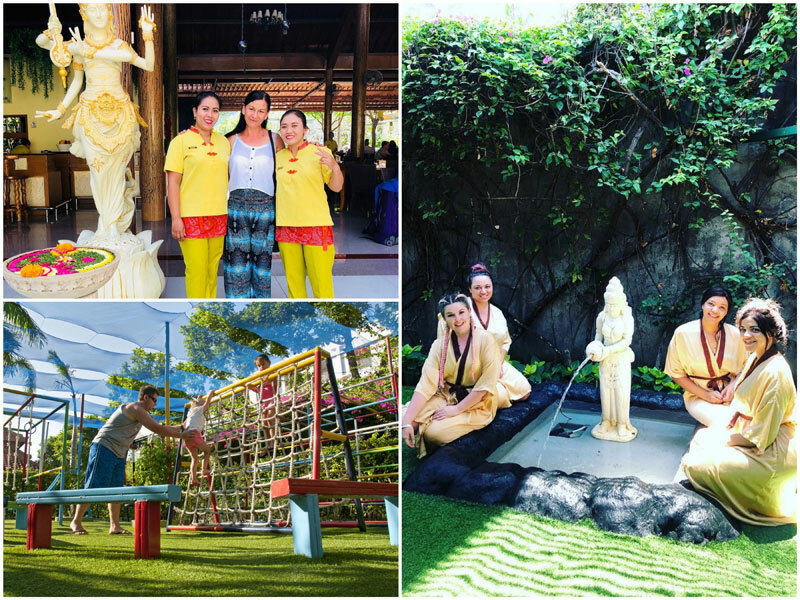 Want to more know about our personal experiences in Waterbom Bali? Check out our full review here, with close-ups of the various rides and attractions! Being a lush tropical paradise housing many natural species, protecting Bali’s natural environment is important to ensure that the natural sights we see today can be sustained for generations. At the Bali Sea Turtle Society, the group of kind-hearted souls aim to protect sea turtles and their homes by engaging with local communities and visitors through their activist projects! Want to help? Here’s your chance to play a part in conserving nature – for a small fee, you could release one of the saved sea turtles back to its natural habitat, similar to what you can do at the Turtle Education and Conservation Center (TCEC) in the island of Pulau Serangan, or at Gili Meno, an exotic island off the main coast of Bali. 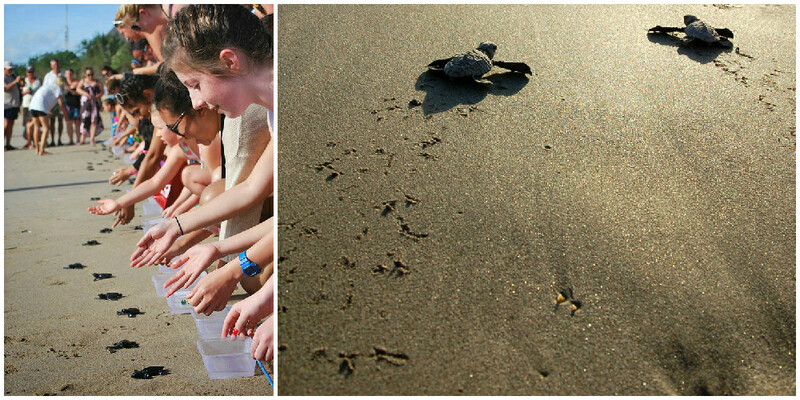 Watch as the cute baby turtles waddle back to sea and start their new life. It might be hard to say goodbye to them, but you could always snap a photo with the huge sea turtle statue to mark the experience! 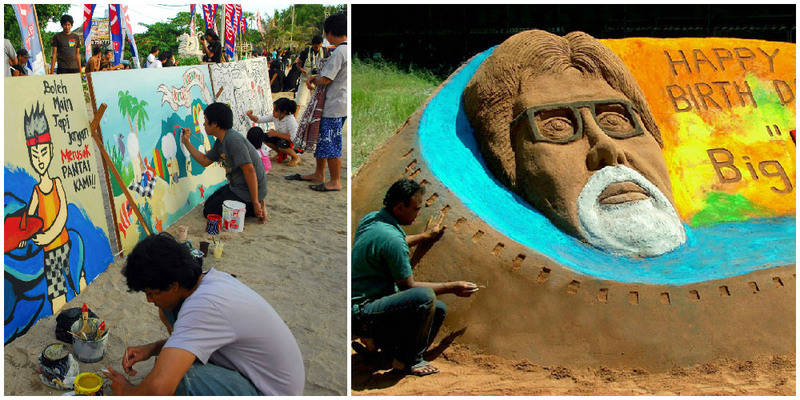 Directions: In front of Hard Rock Café, walk to the beach, turn left and walk along the path for 100 metres. 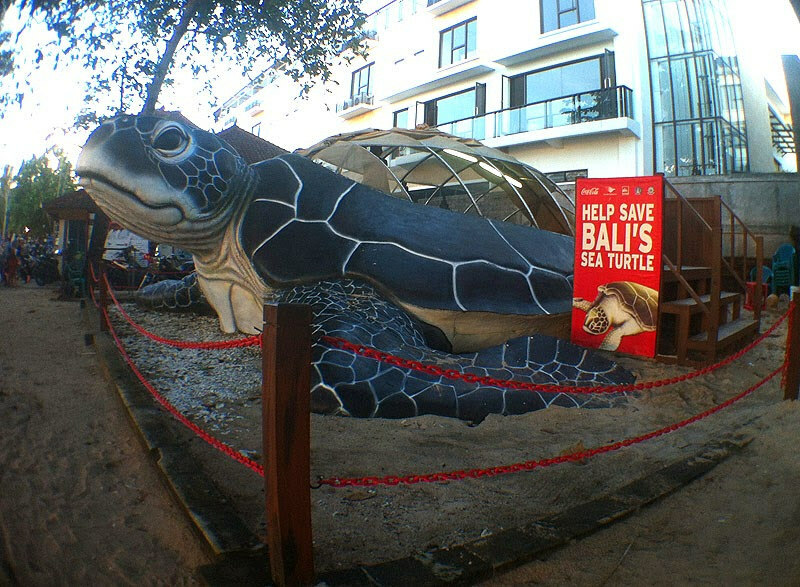 Bali Sea Turtle Society is located next to the lifeguard station and Kuta Beach security office. You will know that you’ve reached once you see the giant turtle statue! With the flood of vacay photos on Instagram, it’s hard to get truly unique snapshots of your travels. 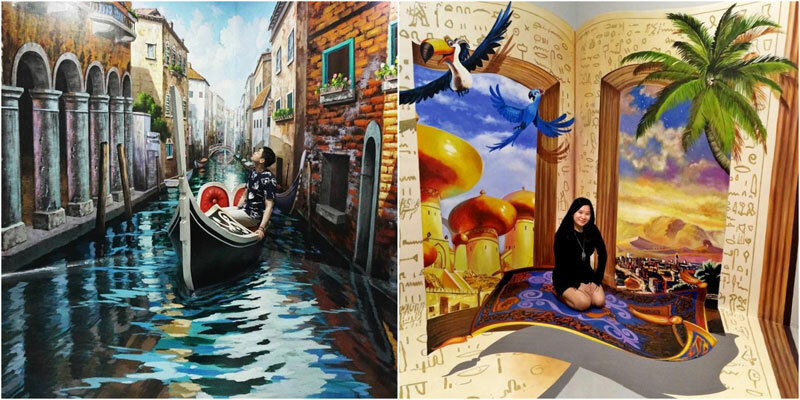 At Dream Museum Zone Bali, you can take photos with various interactive backgrounds that come with a 3D effect! Not only do the photos look extra good, it’s also really fun and entertaining for kids and adults alike! 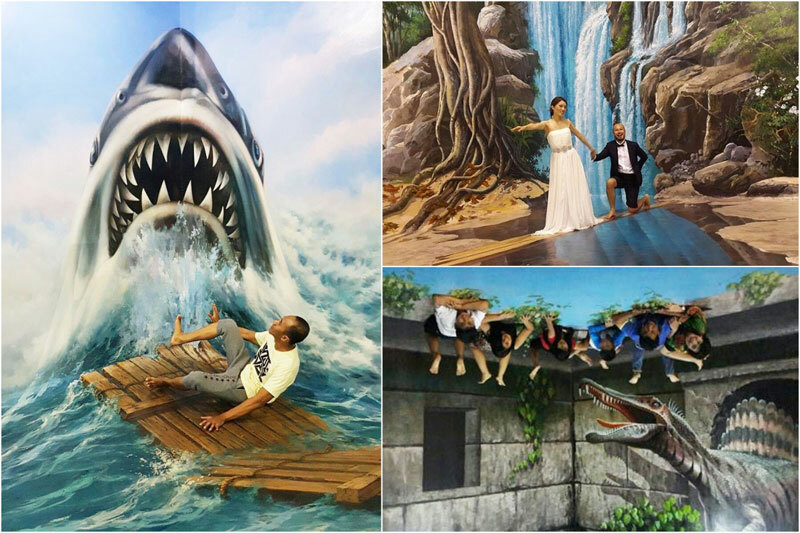 Capture your experiences of reliving the scenes in those Hollywood blockbusters, like escaping from a hungry shark or a Tyrannosaurus Rex! For something a little more kid-friendly, the little ones can re-enact iconic Disney scenes like the one in Aladdin, where Aladdin and Jasmine went on a flying carpet ride! Do remember to bring a fully charged camera to make sure you have enough battery life to explore all 120 backdrops in the museum! 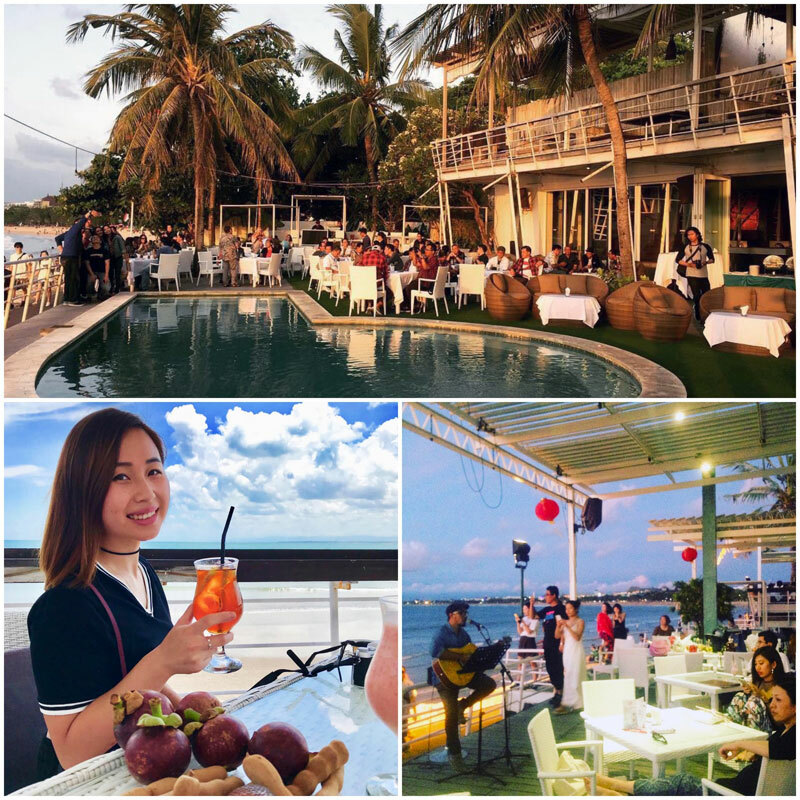 If you like Seminyak’s beach peppered with colourful umbrellas, you might just love this one in Kuta, where the sight of passing planes mimic little birds in the sky, bringing you to a calm, carefree mood as you relax and enjoy yourself. 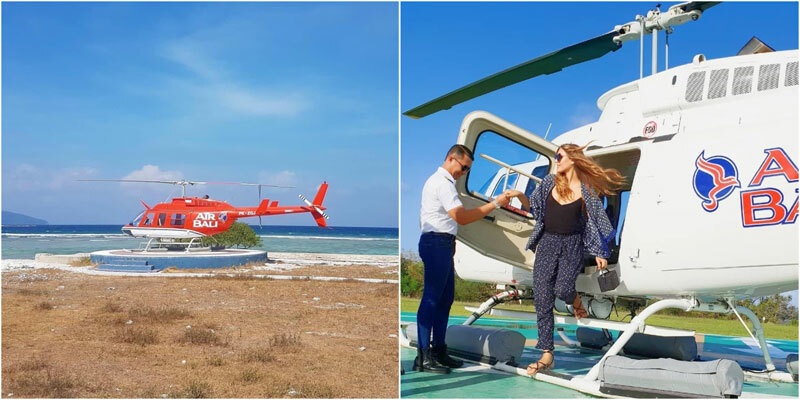 Psst, pro tip: Head to the end of Kelan Beach, right next to the runway, to increase your chances of catching a plane in your photo! 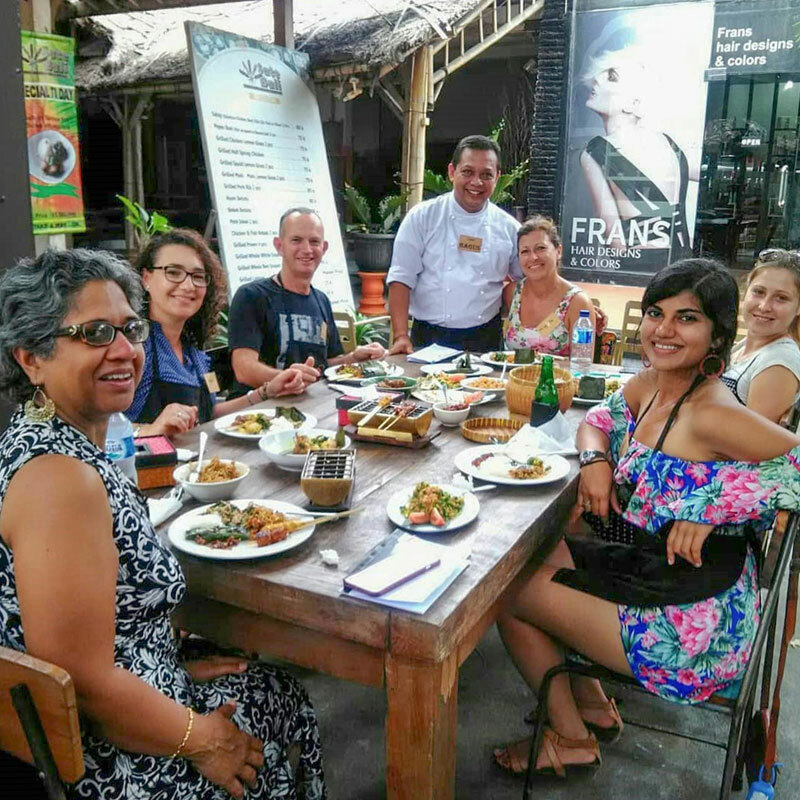 Love making new friends and immersing in local cultures? 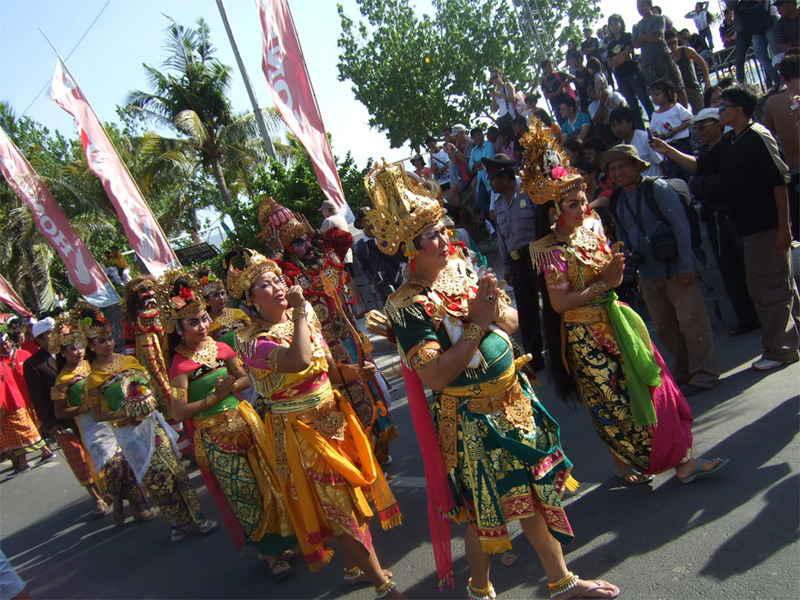 Join the locals and the whole of Kuta in the annual Kuta Karnival celebrations, where everyone comes together to celebrate life! 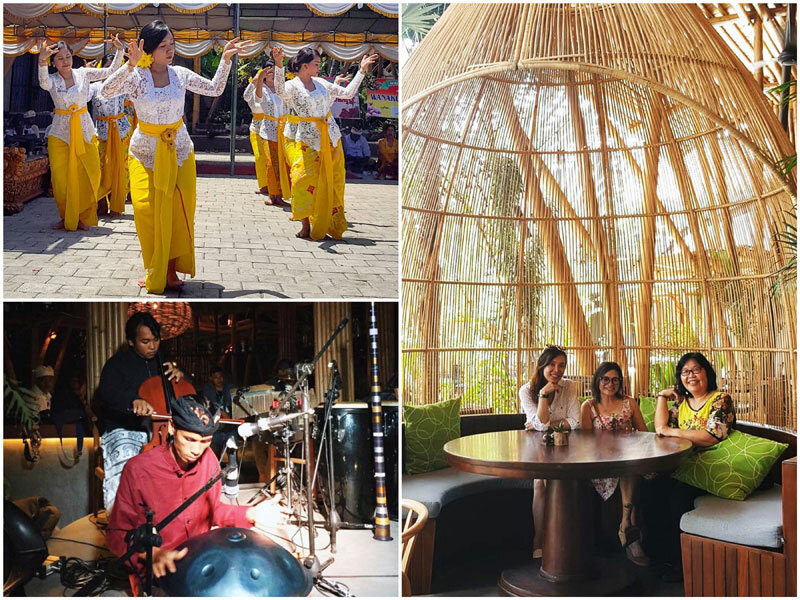 For one weekend only, the fun in Kuta intensifies with various activities such as movie screenings, sand castle competitions, cultural parades showcasing Bali’s folk costumes, and many more! And of course, what’s a carnival without food? 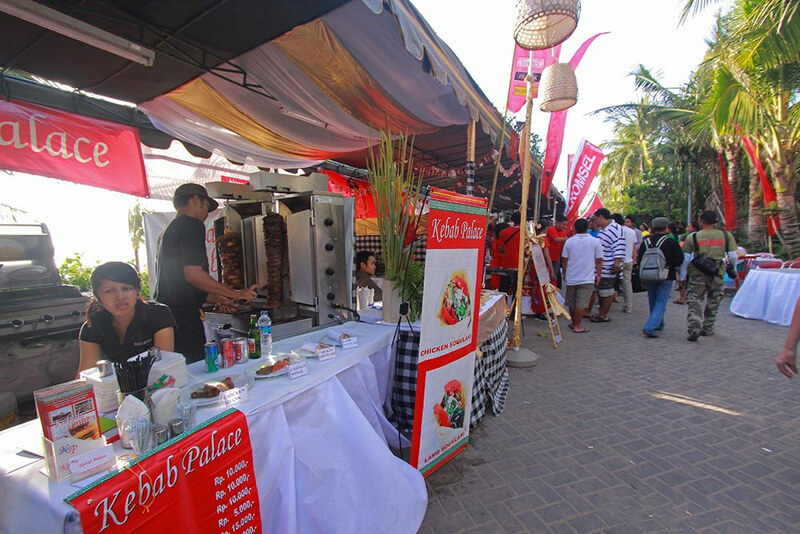 Food stalls will be scattered all along the beach, serving up your favourite Indonesian cuisine, Western dishes, and of course, lots of beer! Everyone is invited to this huge beach festival to rock out and dance under the best beats churned out by the DJs so mark your calendars and save the date for the Kuta Karnival next October! Sitting right in front of the Mercure Hotel in Kuta, you will probably spot people learning how to surf along the beach coast, some already conquering the waves, while the other half still starting out on the sport. 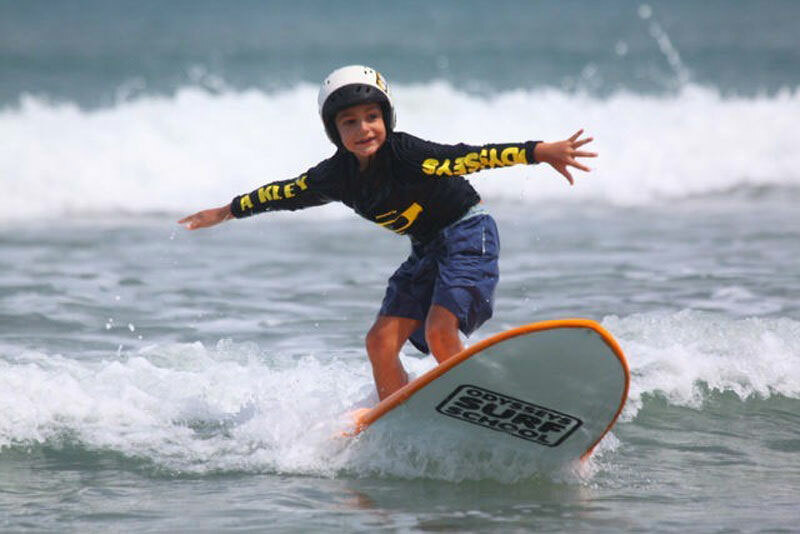 With the help of instructors from Odysseys Surf School, you could also try your hand at surfing! Established in 2003, the Odysseys Surf School is one of the most well-known surf schools in Bali for the excellent courses offered by certified instructors, just 10 metres away from Kuta beach. The instructors are really dedicated and care about your learning – you will even be given a free lesson if you can’t stand up on your board during the first session! What’s more, your surfing sessions are recorded on GoPro cameras not just for keepsake, but more importantly to help you perfect your surfing techniques! At the end of the day, you could always approach the friendly instructors to find out how you can improve! Fluent in multiple language including English and Japanese, you should have no trouble picking up the tips and tricks from them! Have you ever watched movies about underwater voyages on a submarine, and dreamed of going on one of those journeys yourself? Well, now you can! 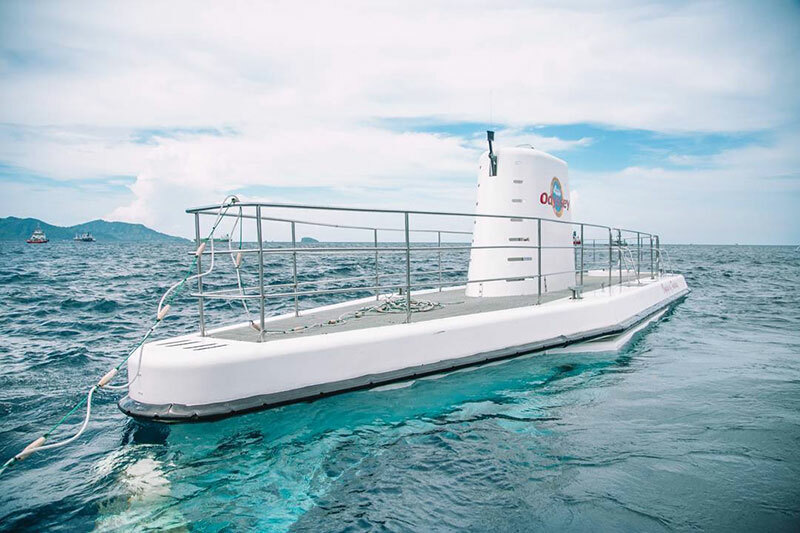 Hop on to this submarine that can bring you down to 150 feet under the sea (around half the height of the Statue of Liberty)! 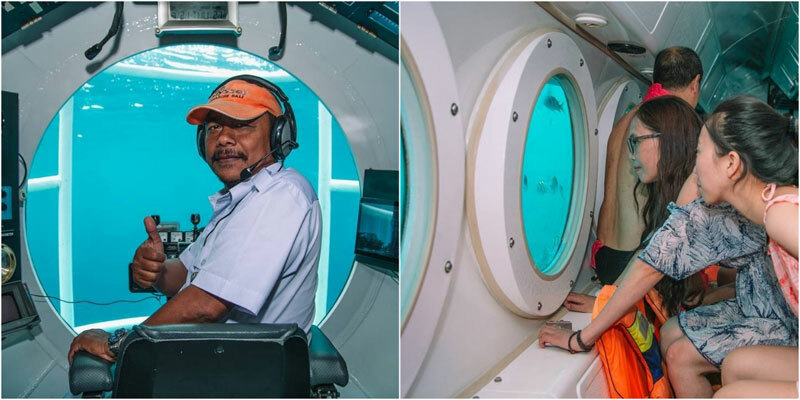 You can admire schools of fish swimming around, coral reefs, jellyfish, stingrays, and many more cool marine species gliding their way across the vast ocean floor! If you’re lucky, you might even spot a shark and get the chance to see it up close! Cue the action movies! 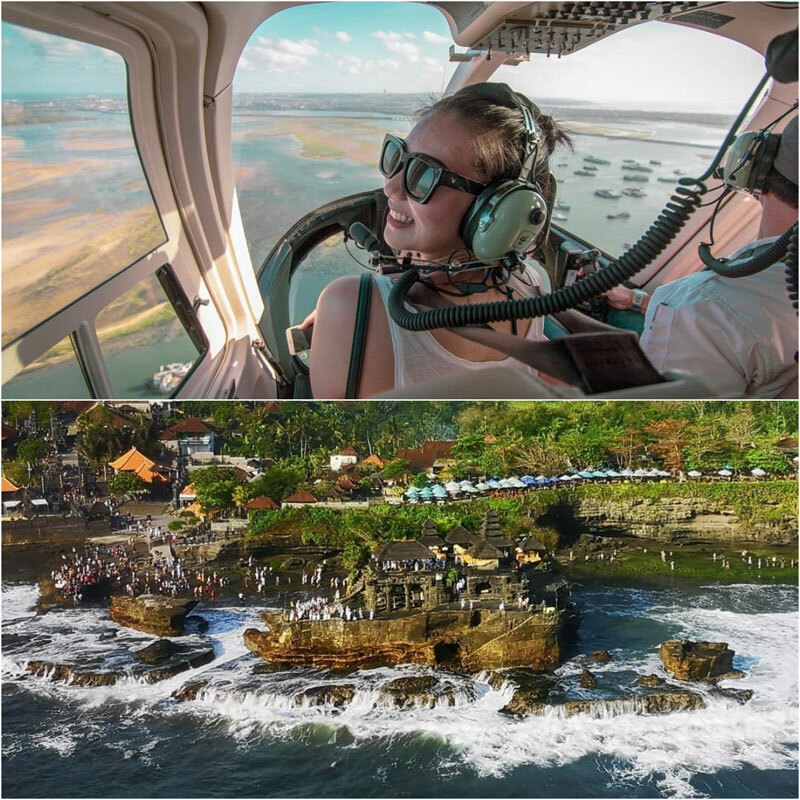 Come on board Air Bali’s helicopter to experience the feeling of liftoff, hear the sound of whirring blades, and watch the stunning views of the ground falling away from you! The high vantage point will give you the chance to catch breaktaking views of landscapes and attractions so don’t forget to take a few shots while enjoying the ride! You might want to take note of popular scenic places such as Tanah Lot, Uluwatu Temple, Mount Batur, and even the seaweed farms around Bali’s south peninsula! 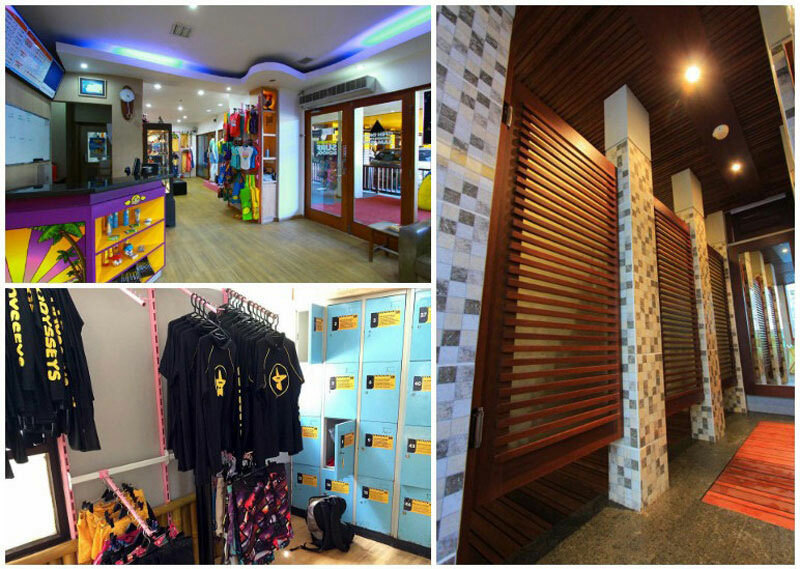 Struggling to find a good buy on the streets of Bali without being ripped off? 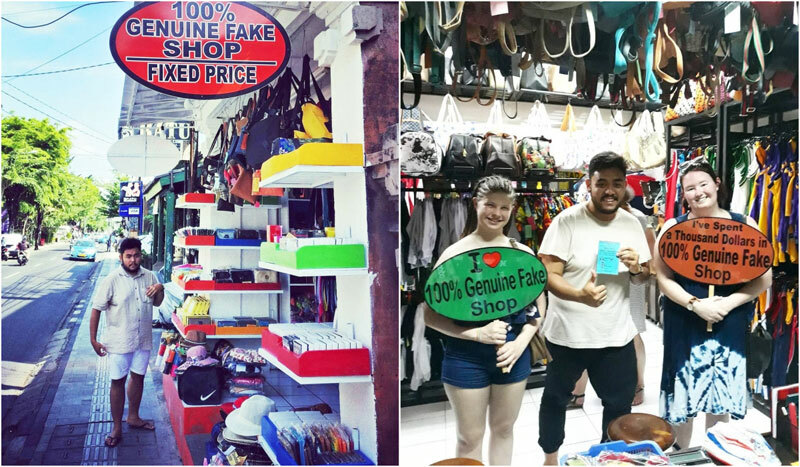 One shop in Kuta promises that none of the products from the brands that they carry is genuine – their products are ironically genuinely fake! 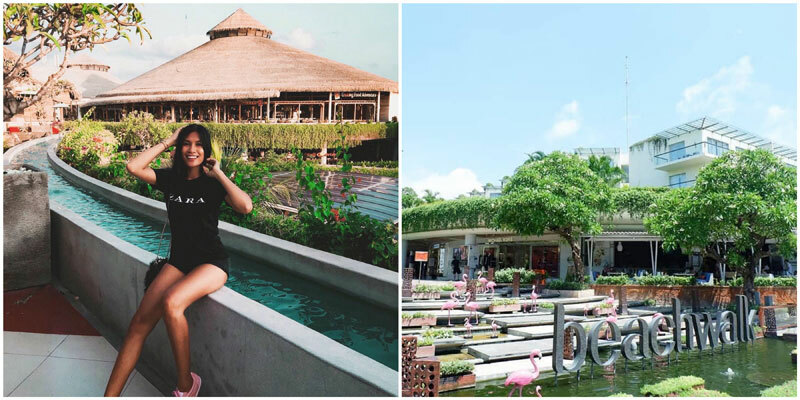 Head over to the 100% genuine fake shop, one of the must-dos in Bali, and catch a few of your favourite branded buys, just for the fun of it. Unlike street stalls, haggling is strictly not allowed, so don’t attempt it or you might just get chased out! Shopaholics alert! 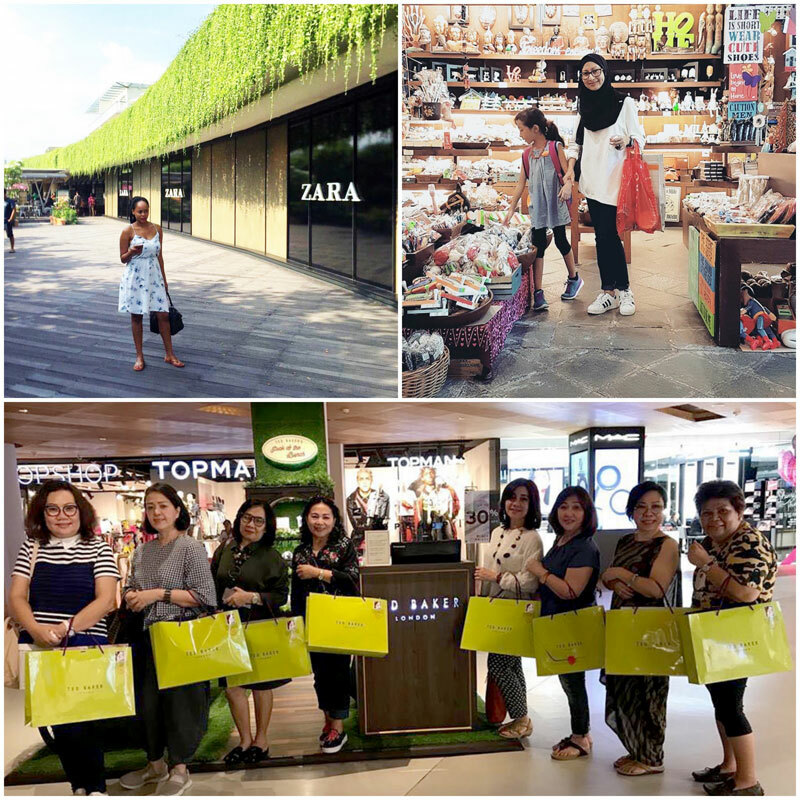 Pull & Bear, Zara, Topshop and even Bath and Bodyworks – all these are just a few of the well-loved brands you can find at Beachwalk Shopping Mall. 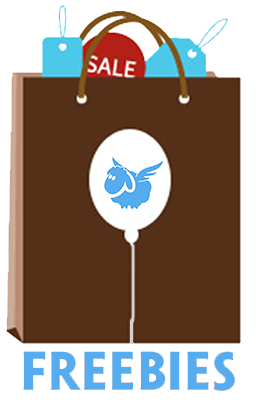 Apart from holding many beloved Western brands, the trendy mall also frequently holds sales promotions, drawing a lively crowd! Grab a bite at the Eat & Eat food court at the top floor, which serves a wide range of Asian cuisine, including Indonesian favourites. You can also find popular Western franchises such as Fish & Co and Tony Roma’s! Treat yourself to affordable face and body treatments! 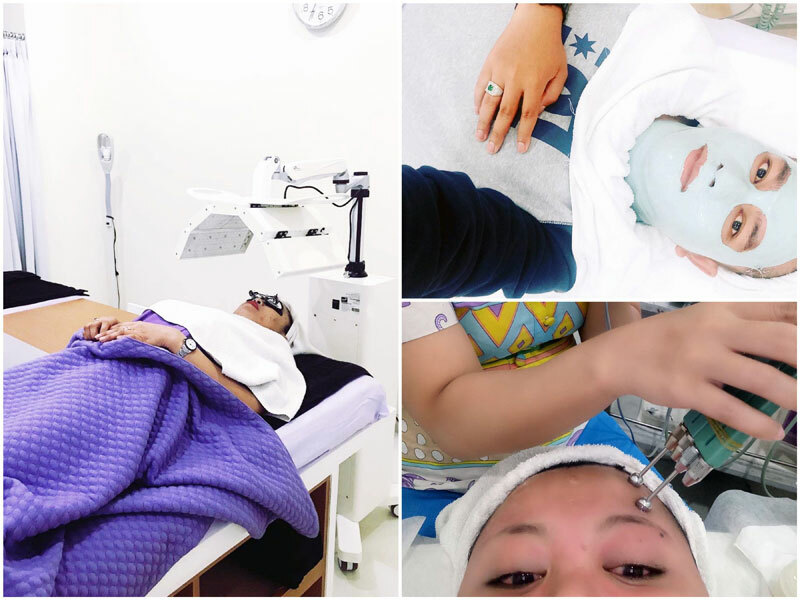 On my first visit to Natasha Skin Clinic Centre, I could already see the instant and long-lasting results of the facial on my skin condition. With the unhealthy lifestyle we citydwellers have (be it the food or air pollution etc. ), having perfectly clear skin has become a real challenge. This is especially so for travel writers like me, who are constantly on the go! 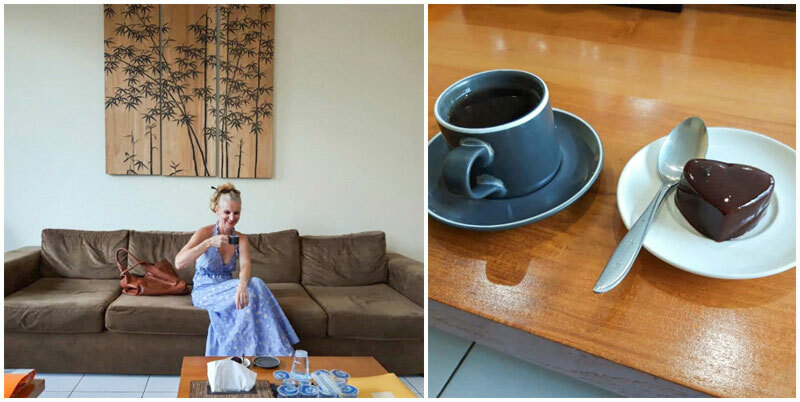 After my first time at Natasha’s, I ended up returning there every month whenever I return to Bali! The standard facial package is my go-to, where the dermatologist will give you advice and recommend you different options based on your skin type and condition. The best part is that they even sell their own line of beauty products, with the face wash being my favourite! 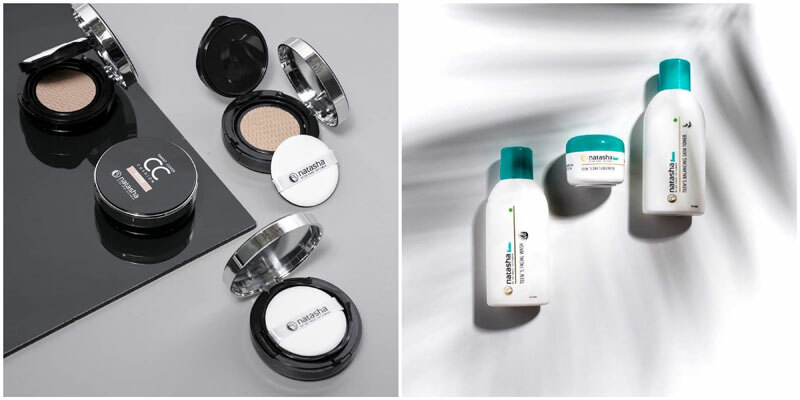 Be it makeup, haircare, or an all-natural product line, they’ve definitely got it covered! Note: This is a local’s secret so the staff can barely speak English, but you can show them which treatment you want from the brochure. 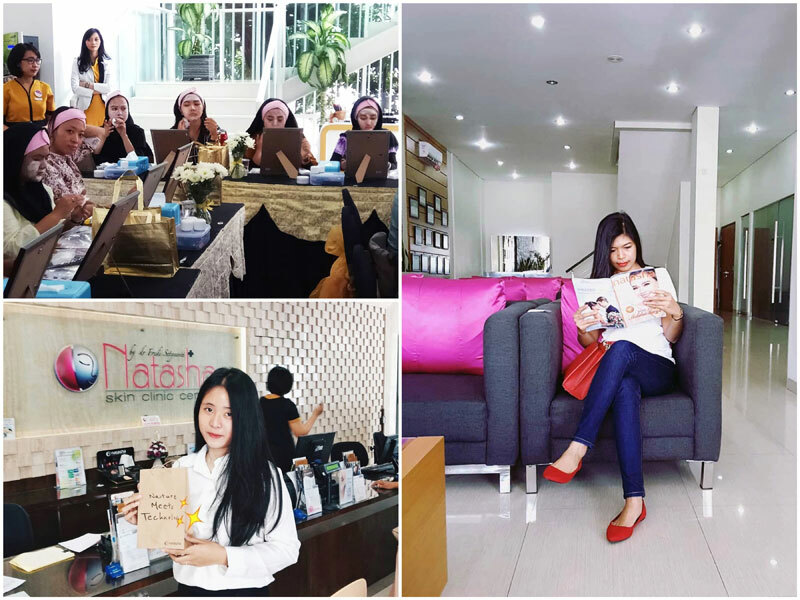 If you’re in Kuta and in need of a relaxing spa break but can’t afford to leave the children alone in the hotel, why not book a session at Febri’s Spa for an ultimate family pampering session, including one for the little prince and/or princess? 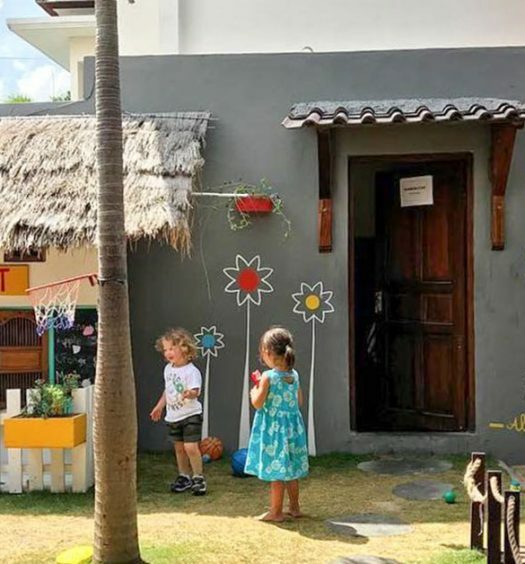 Set at Febri’s Hotel & Spa, this little paradise can be found in a budget hotel in Kuta that has bagged the TripAdvisor Traveller’s Choice award in 2015! The affordable spa is family-focused and offers packages for kids and adults alike at budget-friendly prices. Simply lie down in the large spa cottage for 4 people amidst the greenery and enjoy the luxurious massage! Prior to and after the treatments, you can also lounge in the outdoor Jacuzzi and steam room for free, listening to the soothing sound of the waterfall in the background. From the scrubs to the massages, your little ones are guaranteed to have a relaxing time that will whisk them away to dreamland! 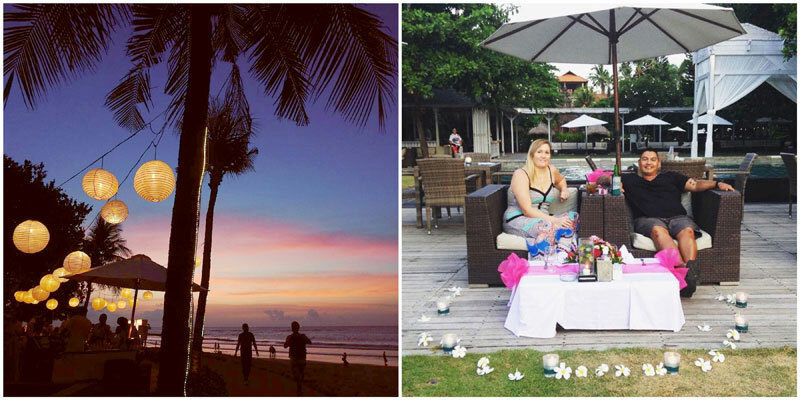 Ready to conquer Kuta like never before? 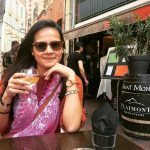 Know more spots worth visiting? Let us know in the comments section below!